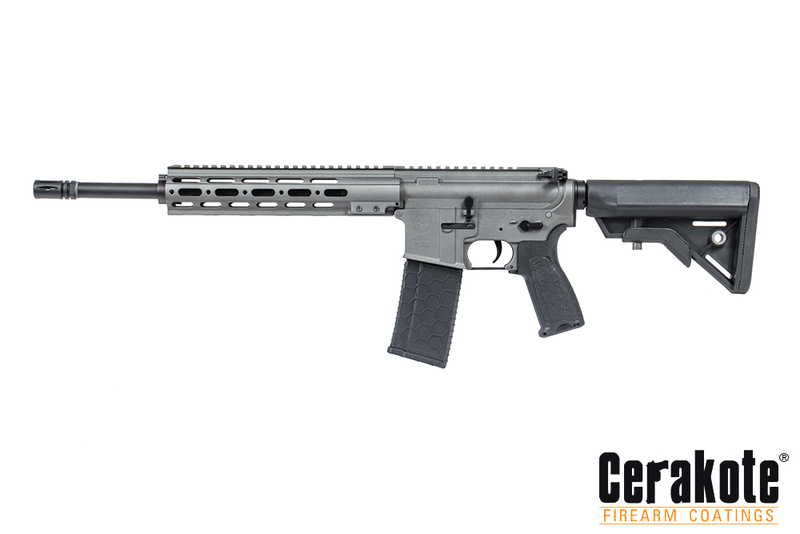 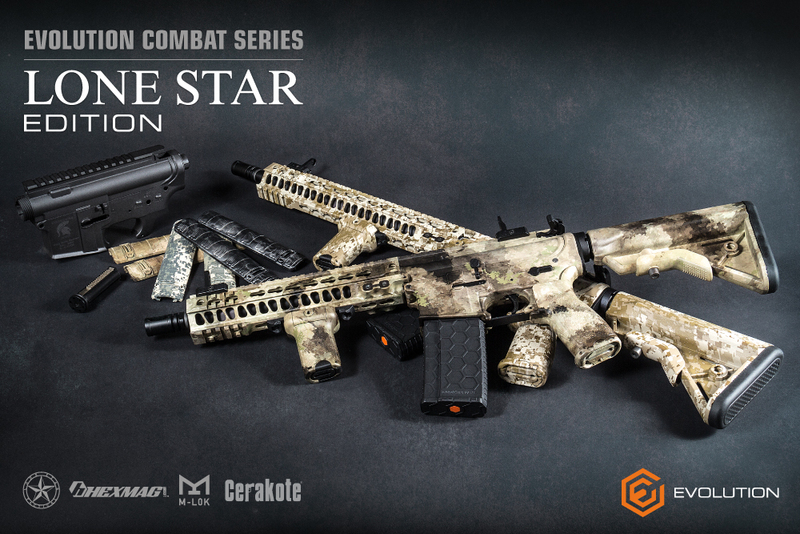 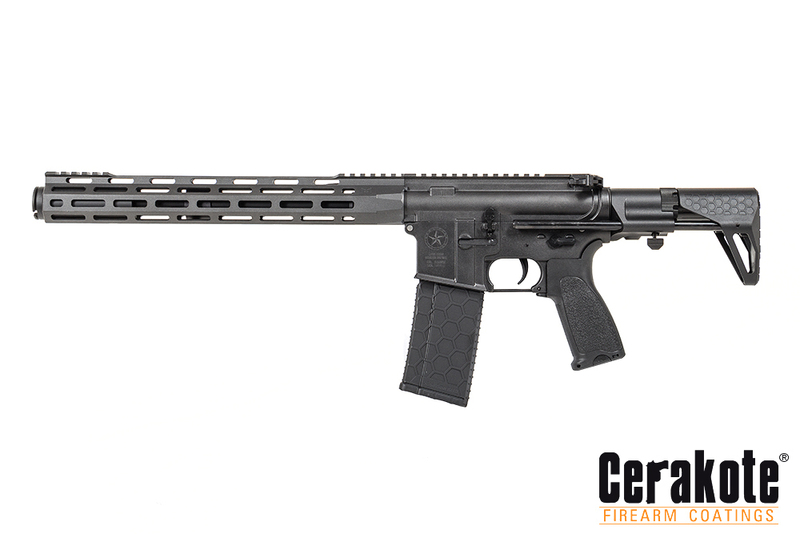 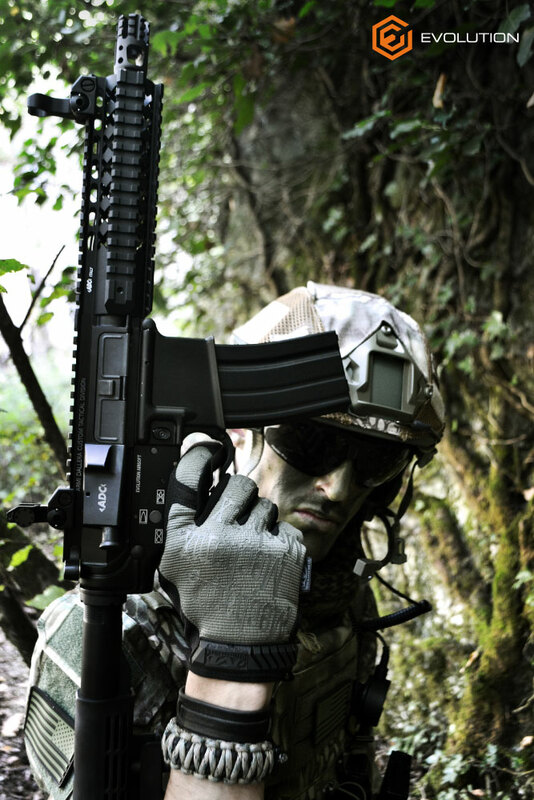 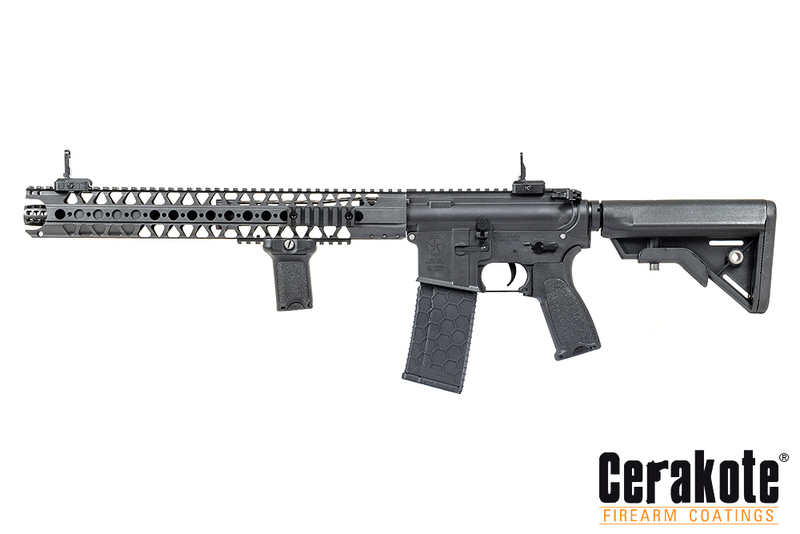 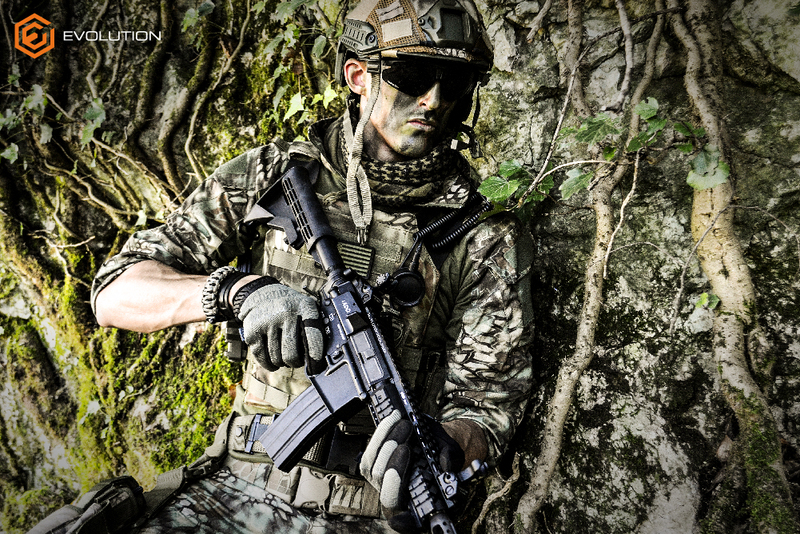 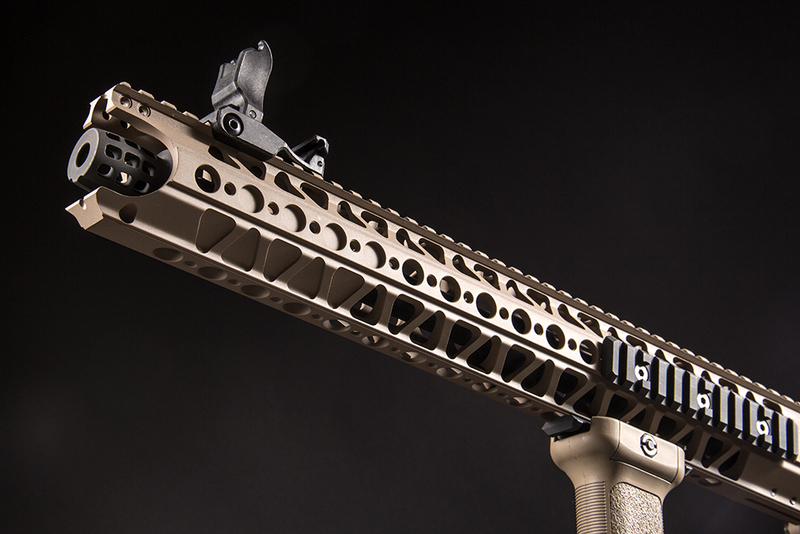 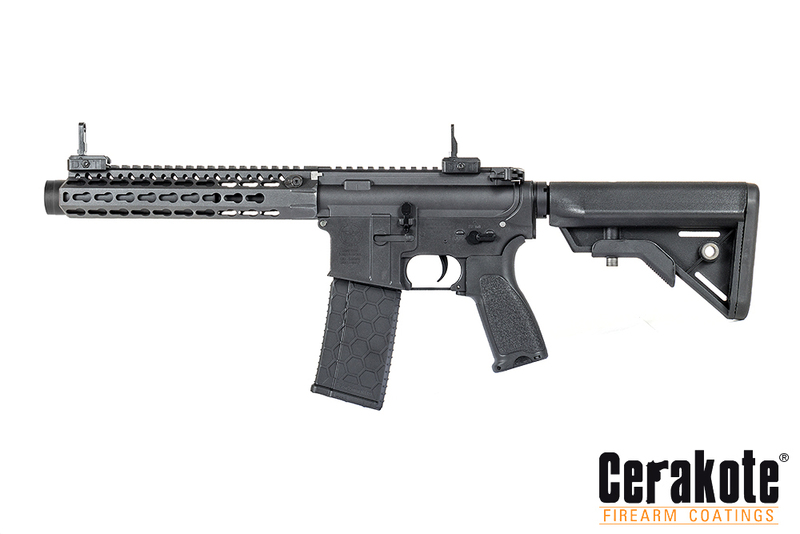 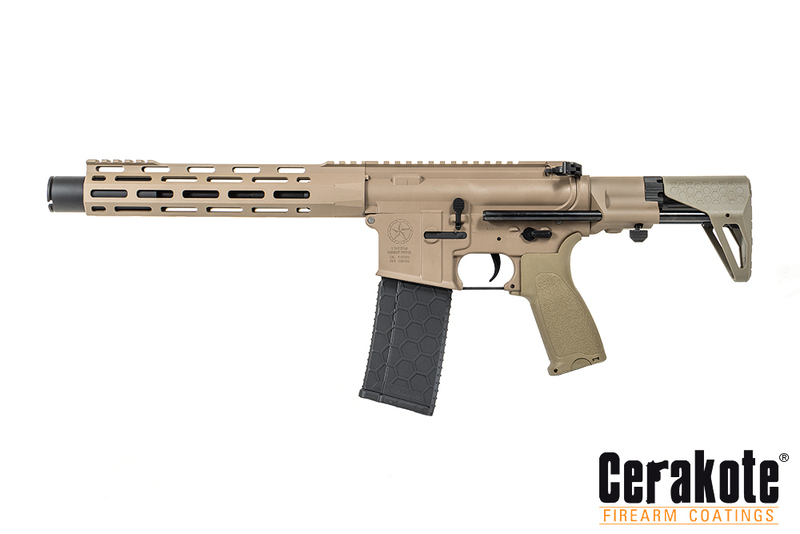 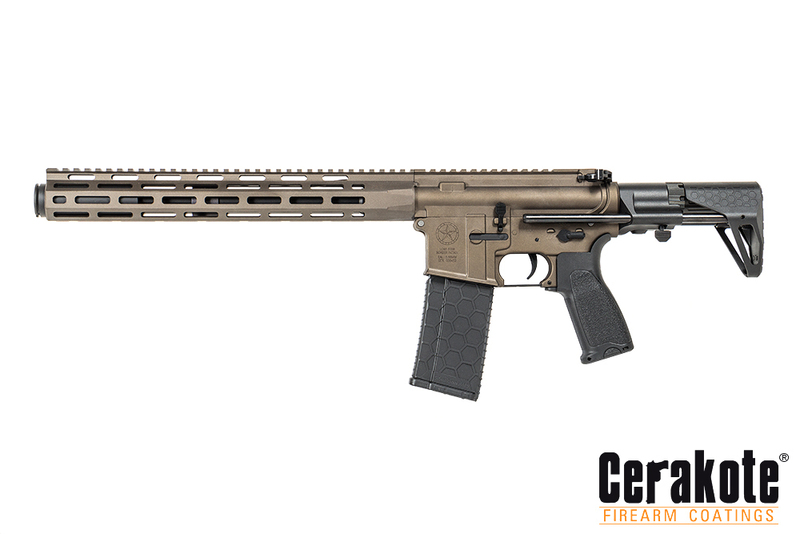 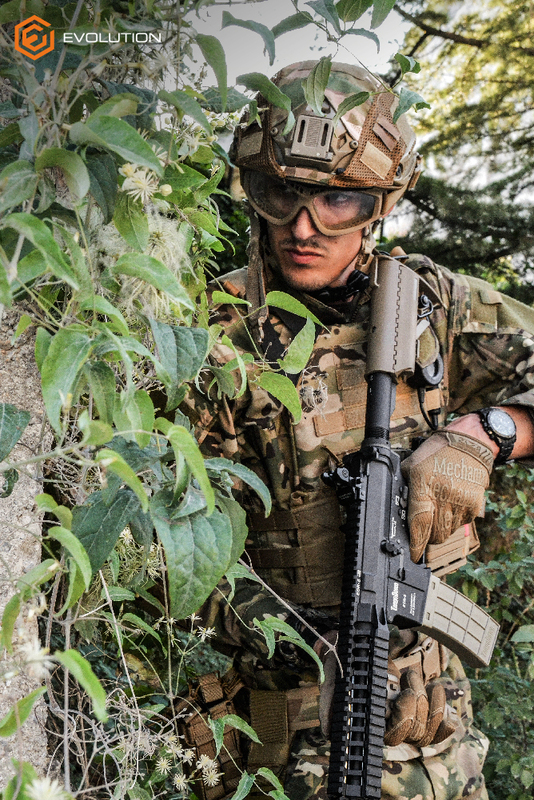 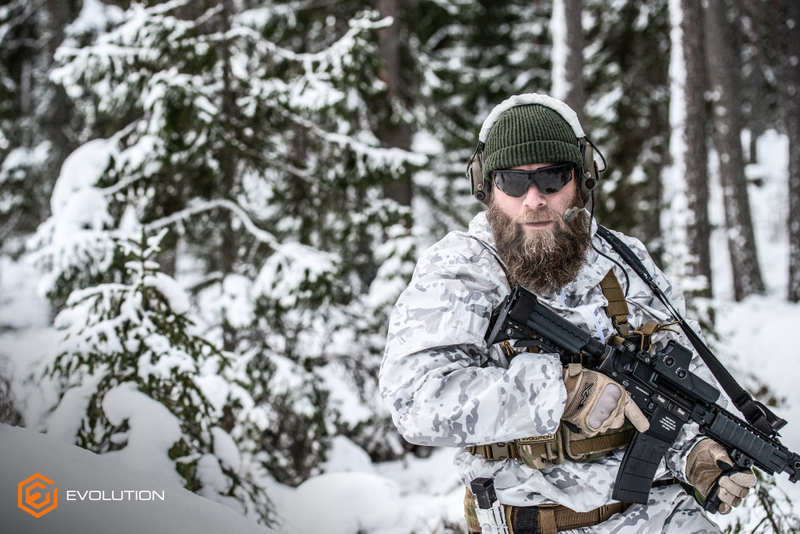 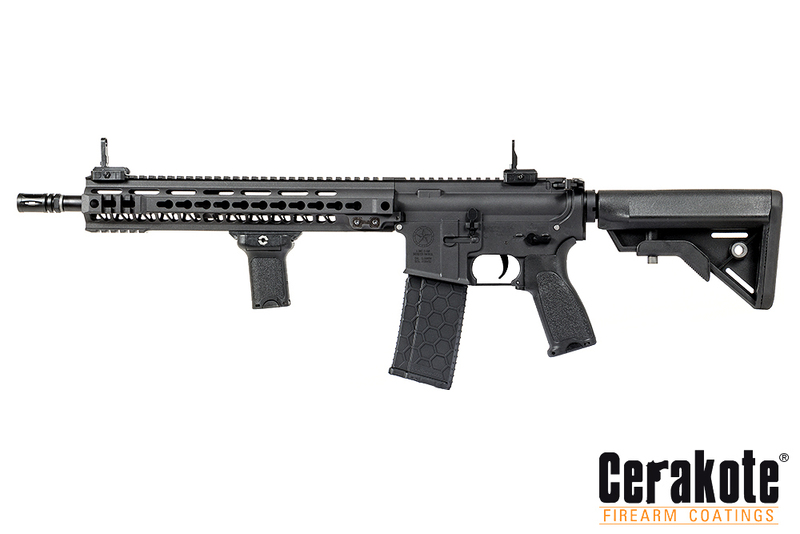 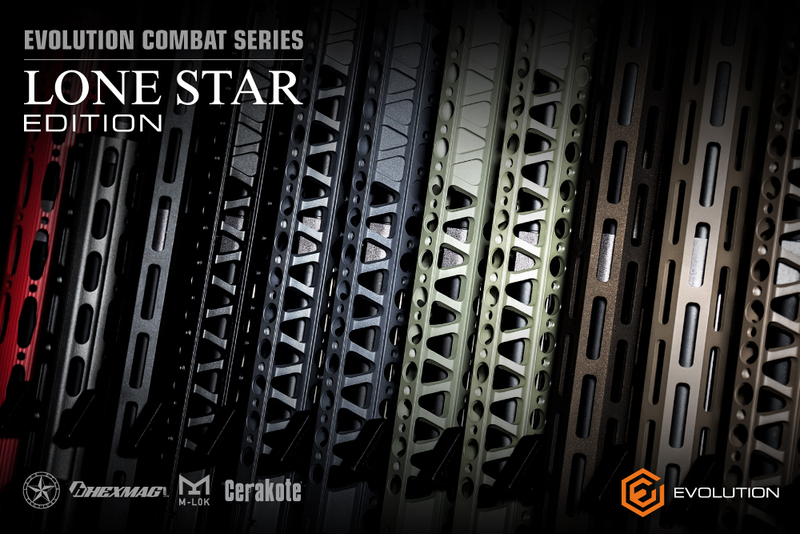 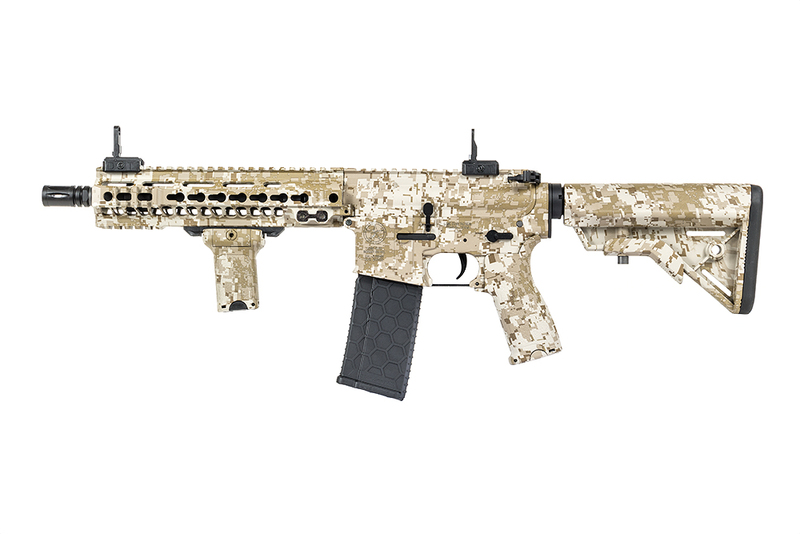 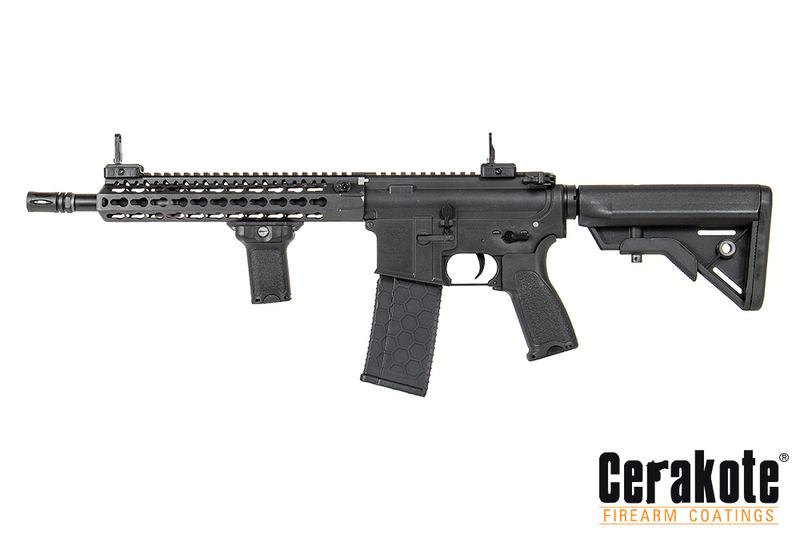 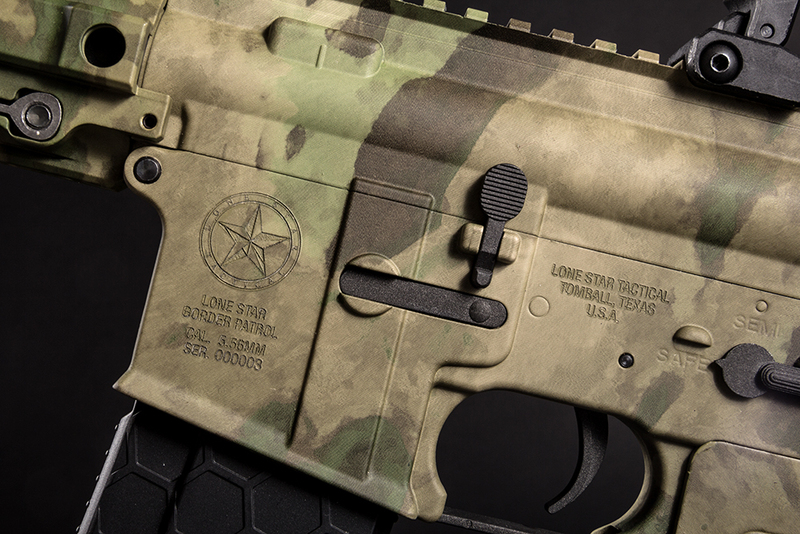 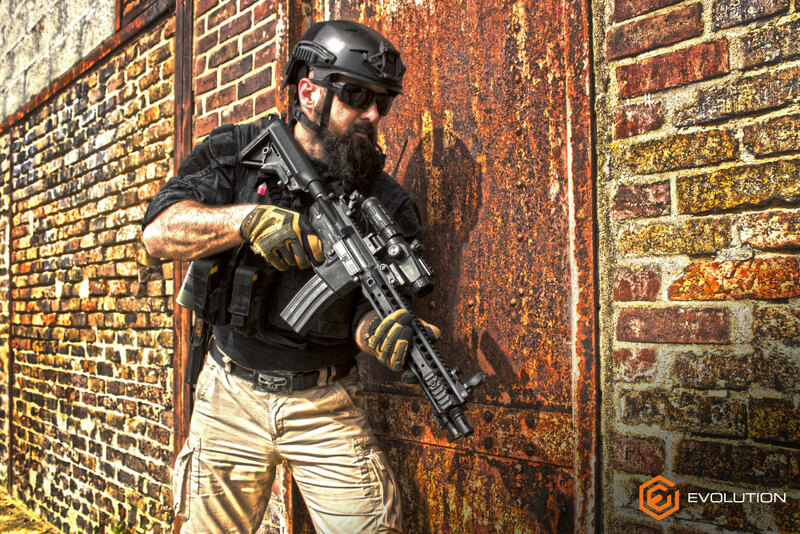 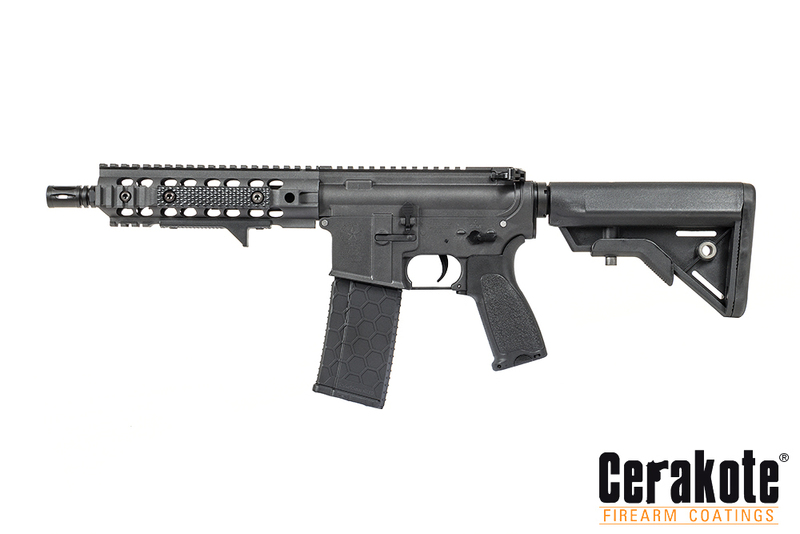 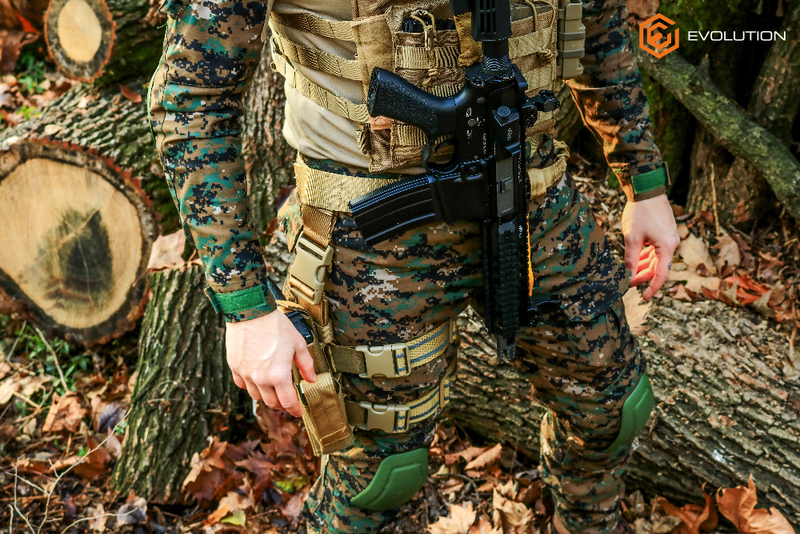 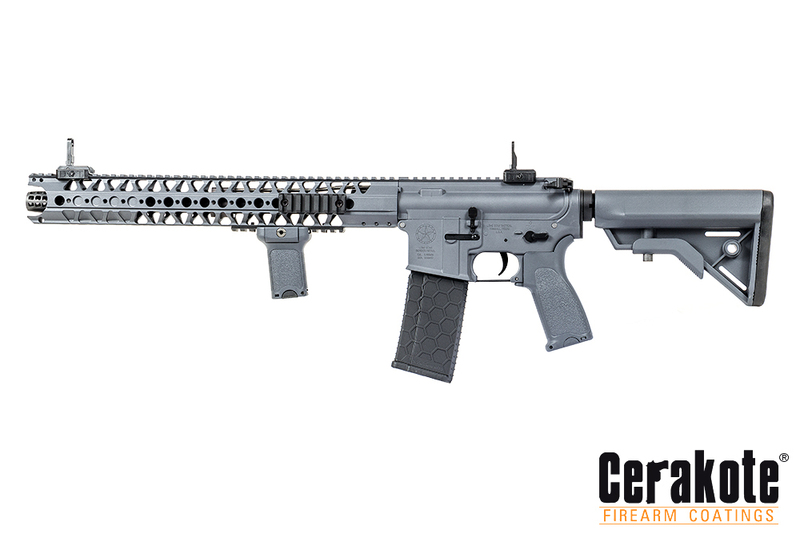 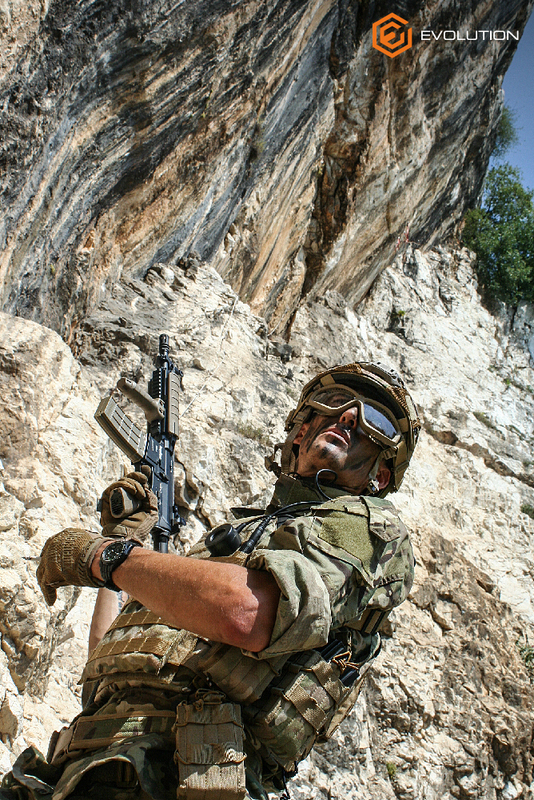 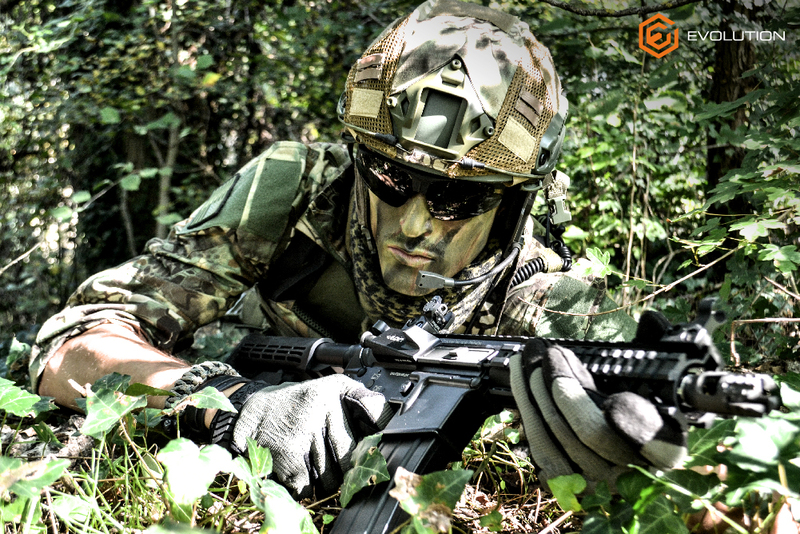 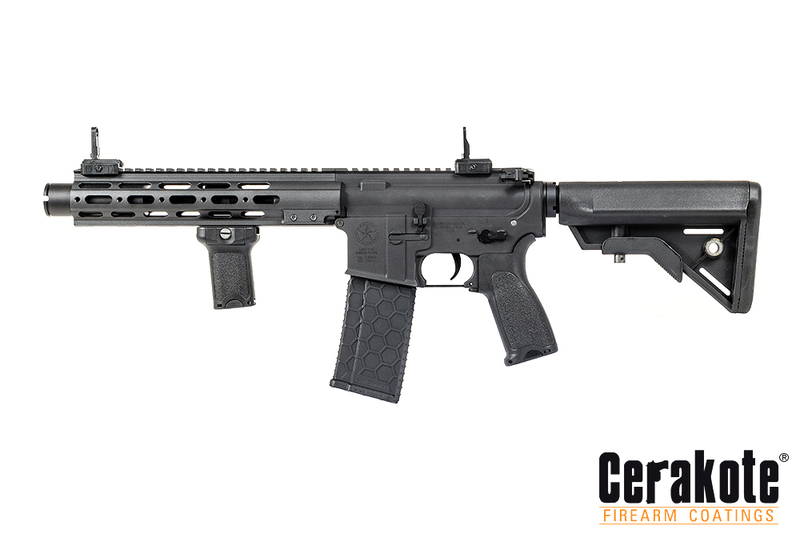 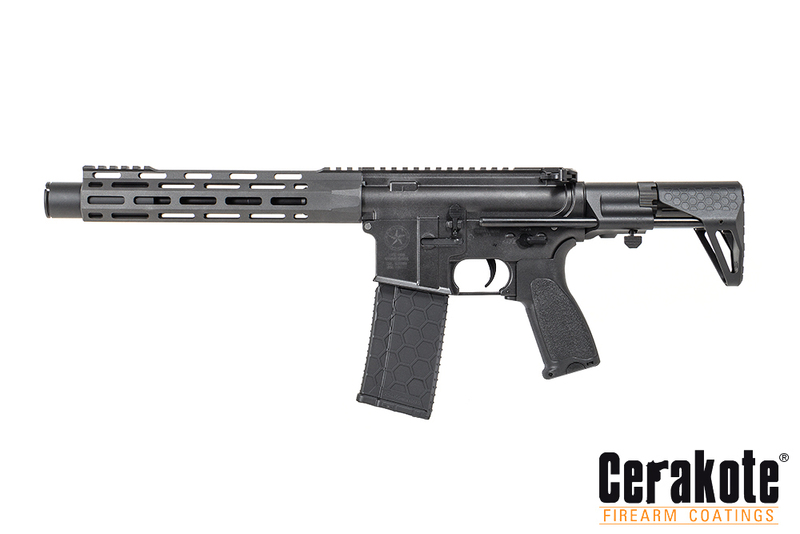 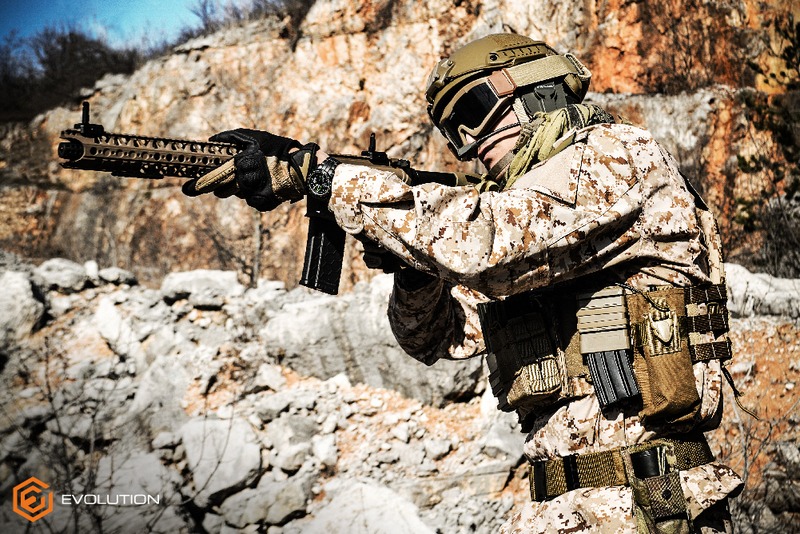 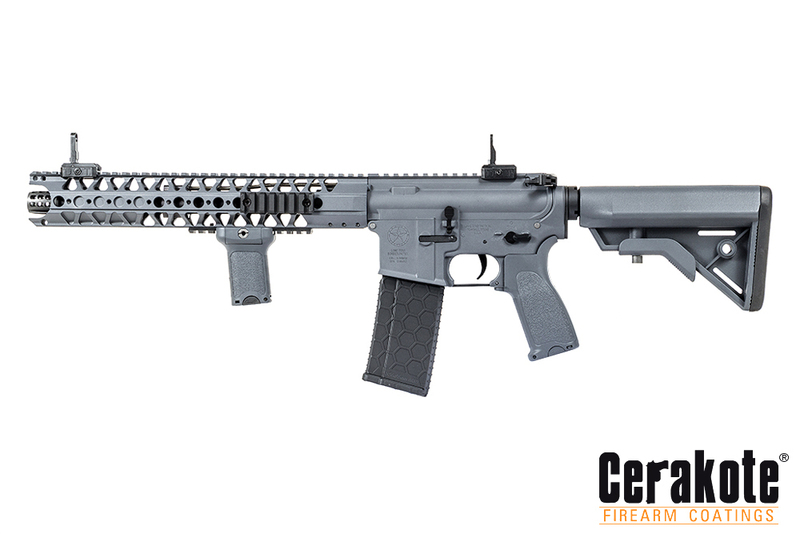 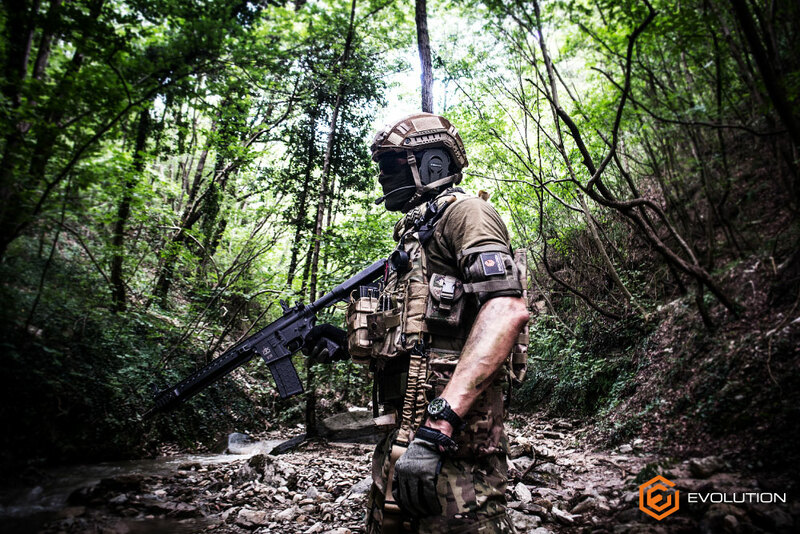 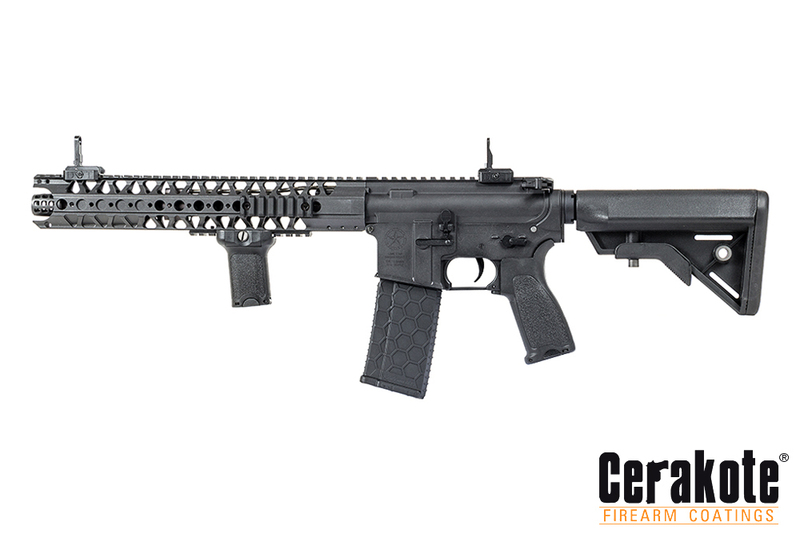 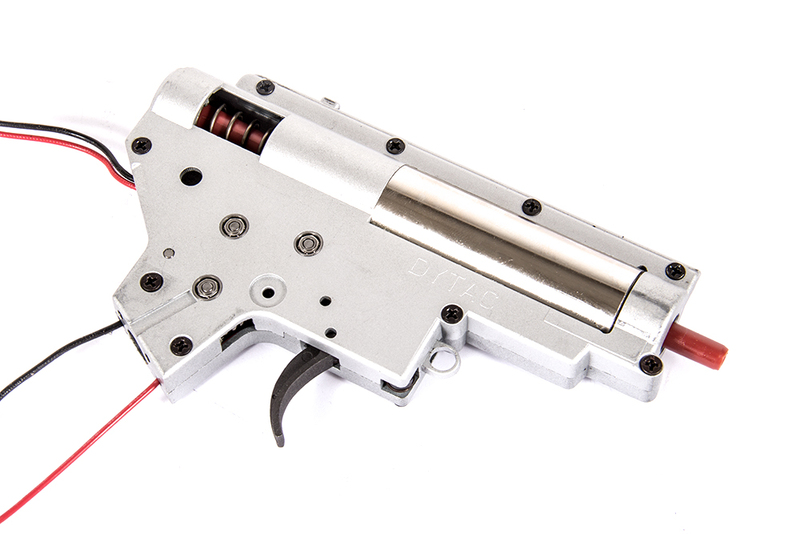 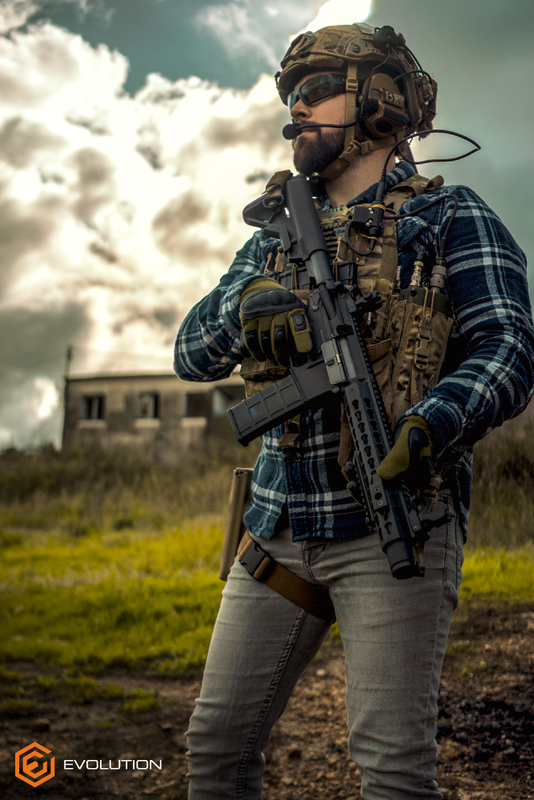 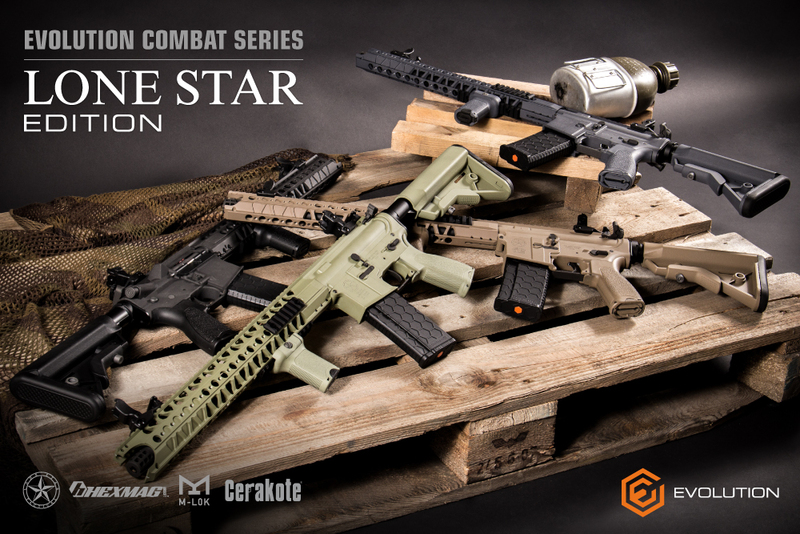 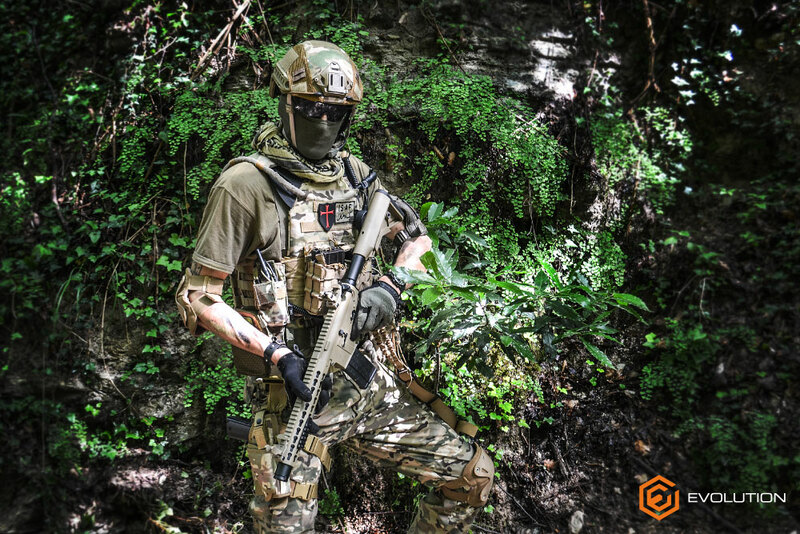 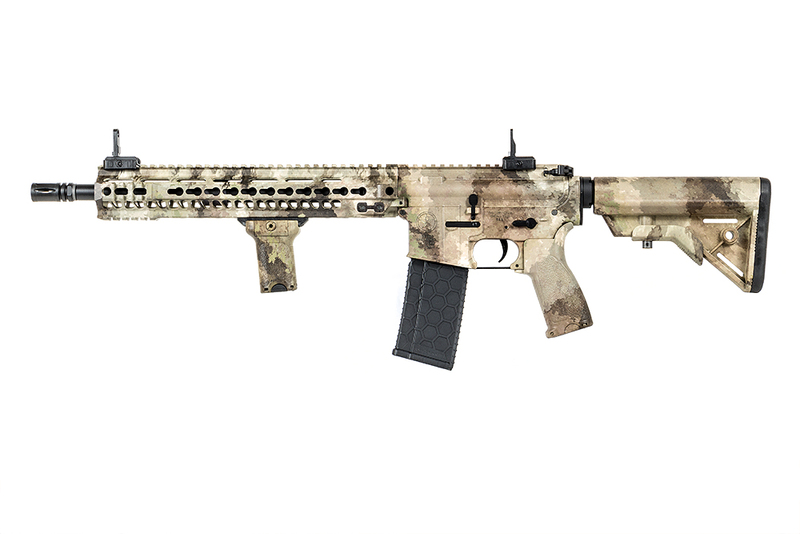 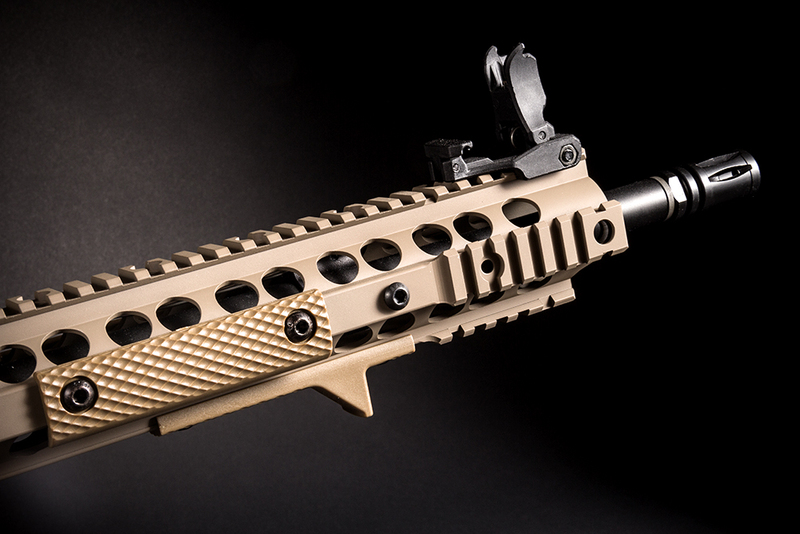 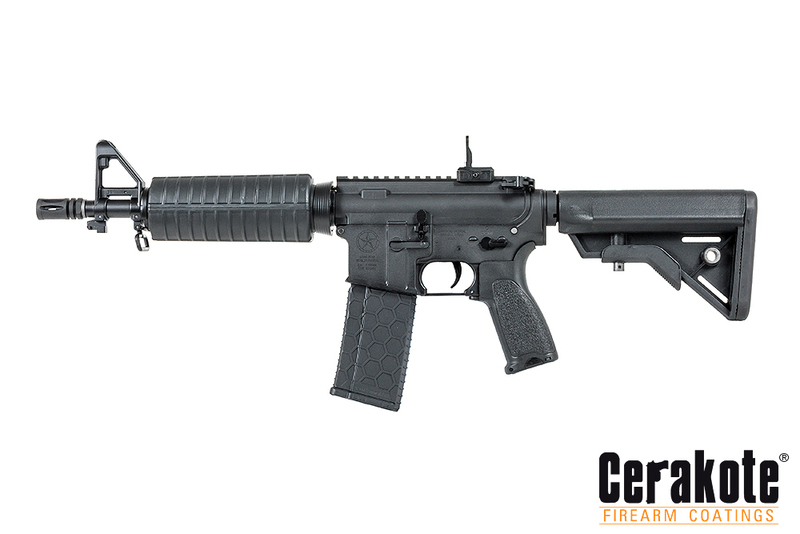 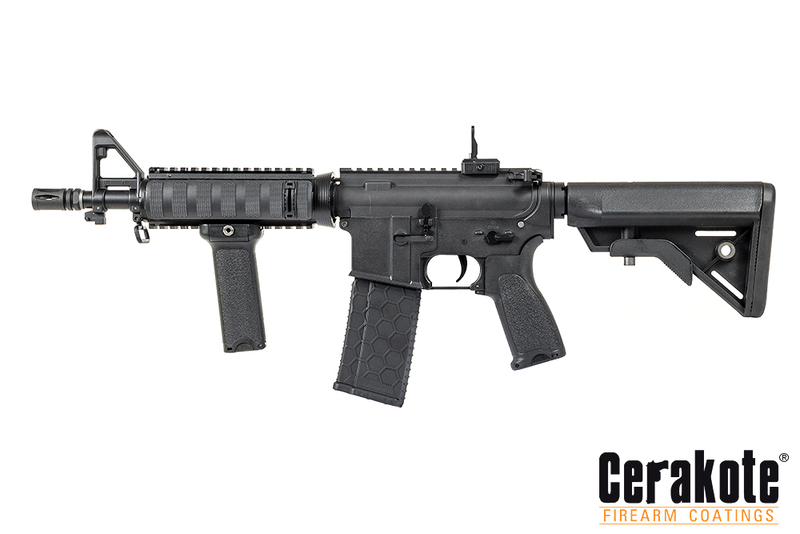 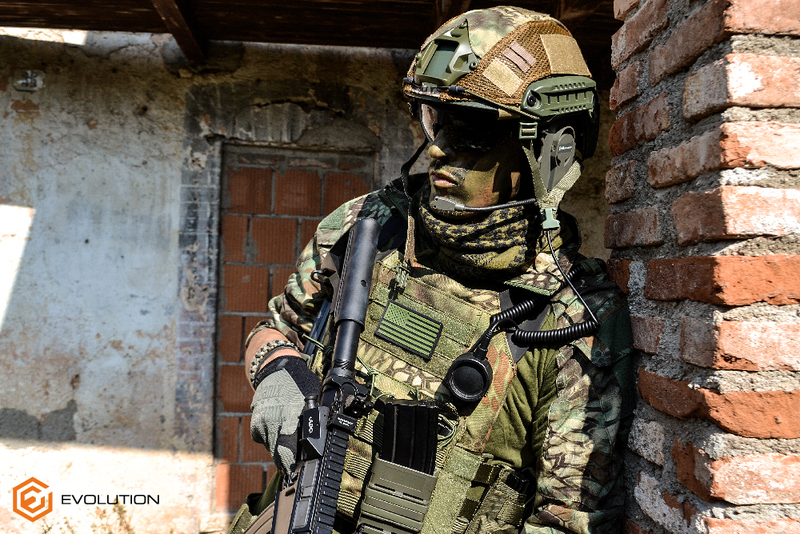 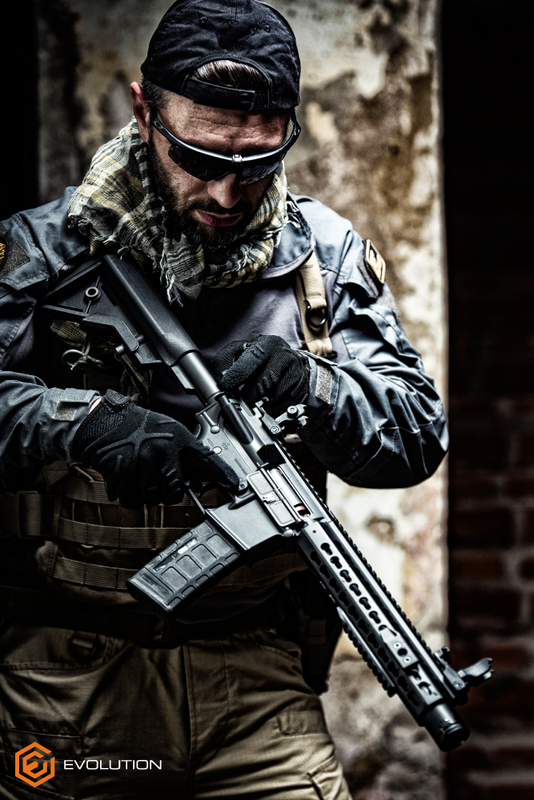 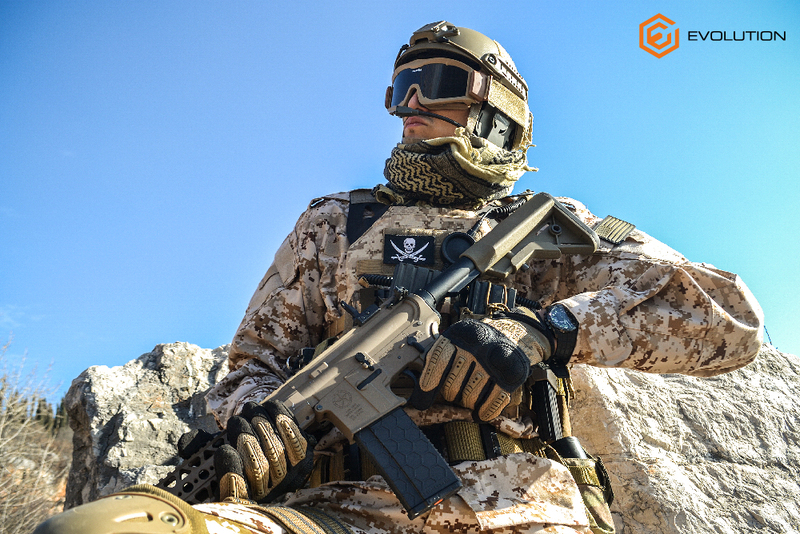 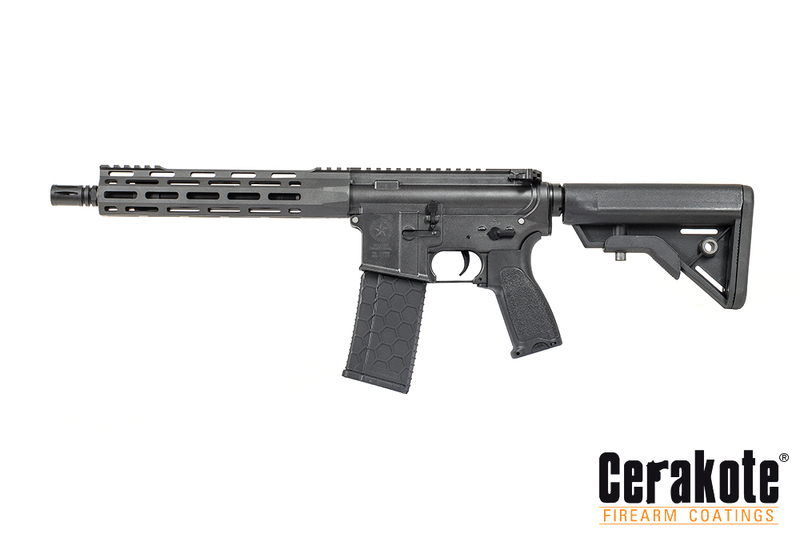 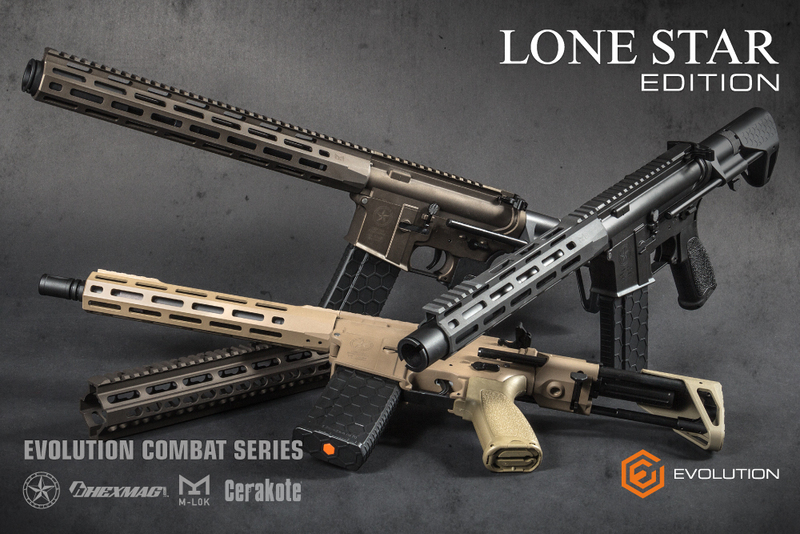 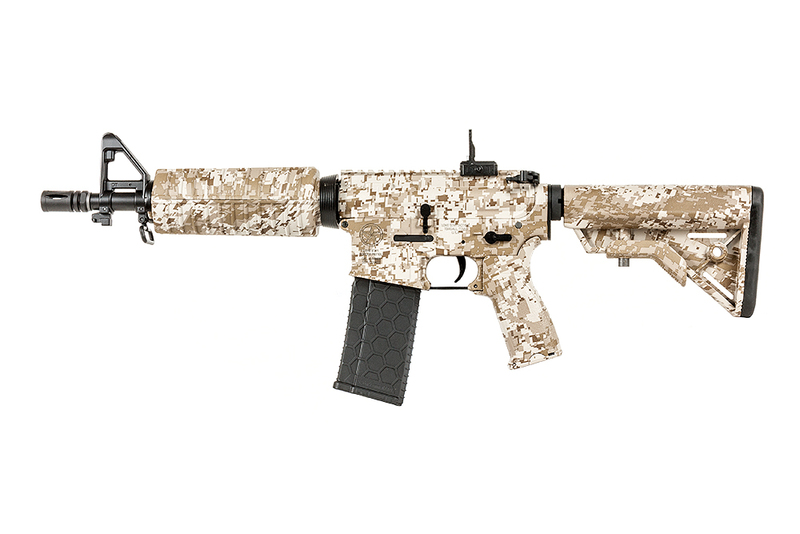 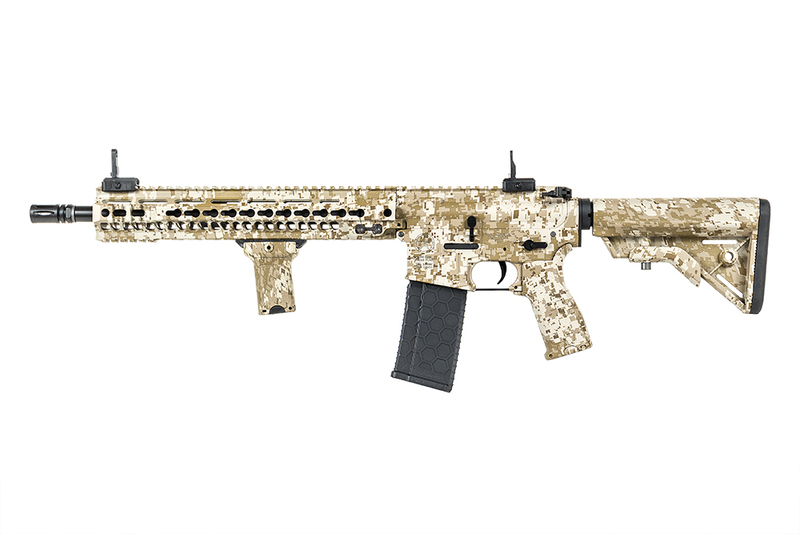 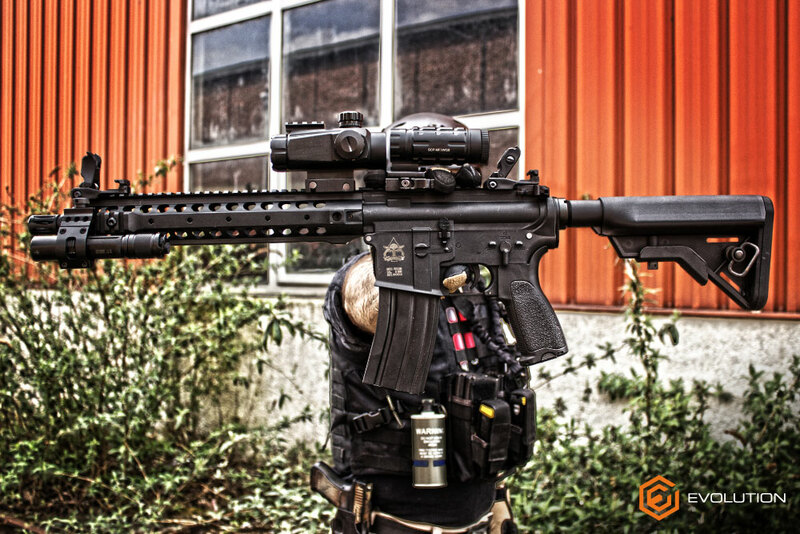 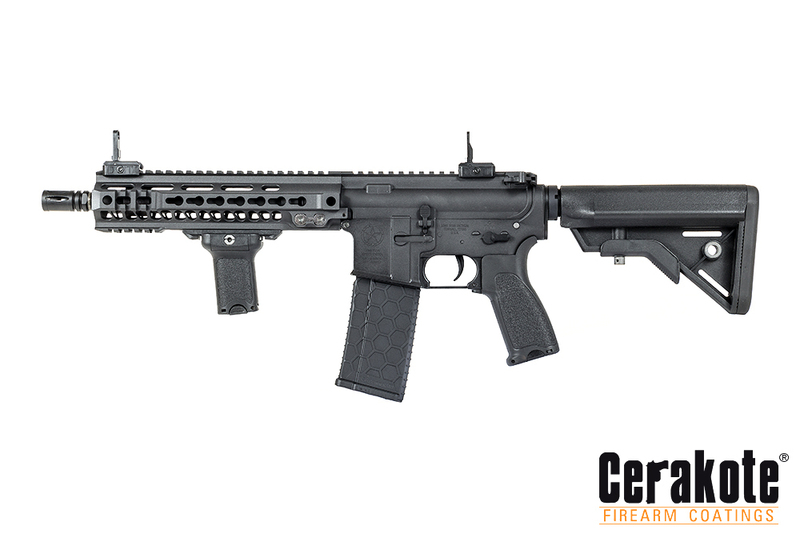 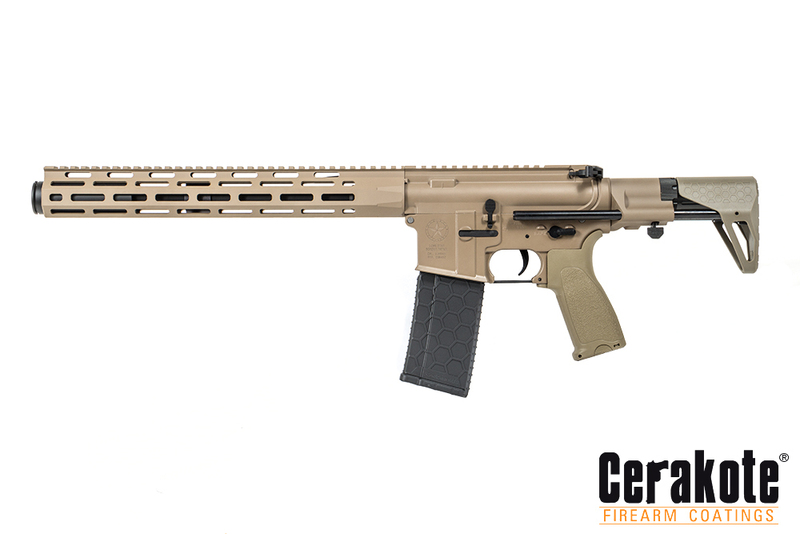 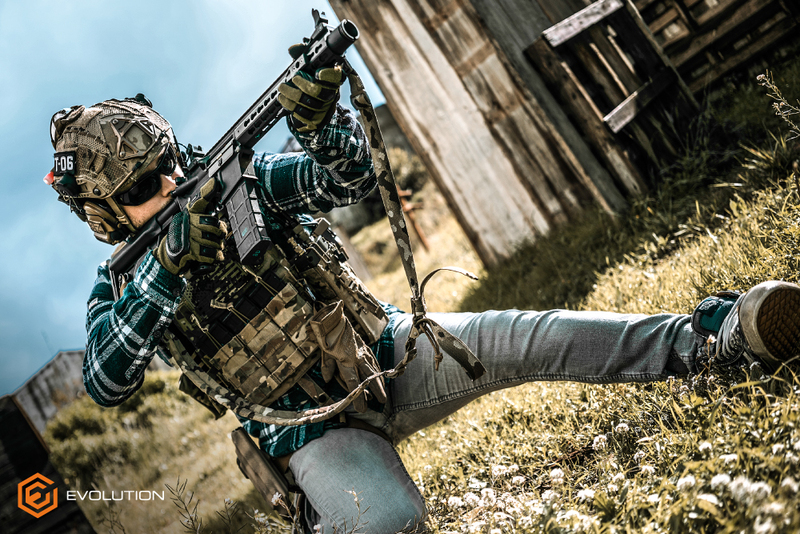 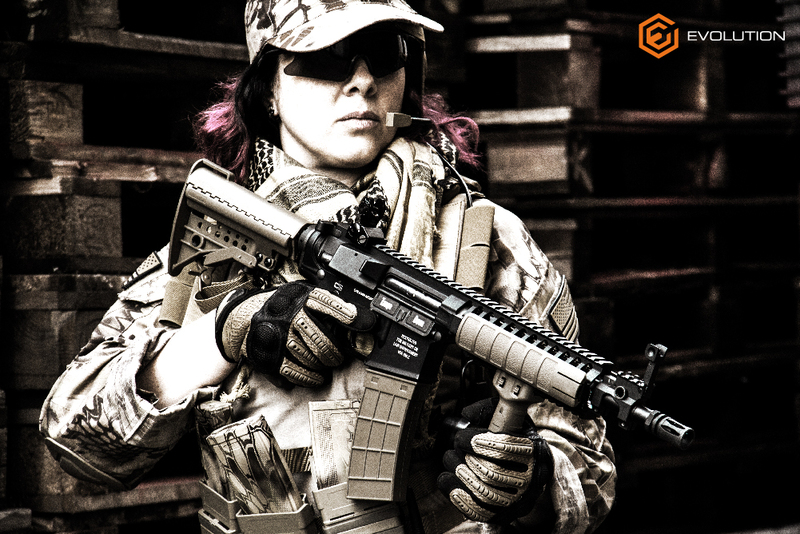 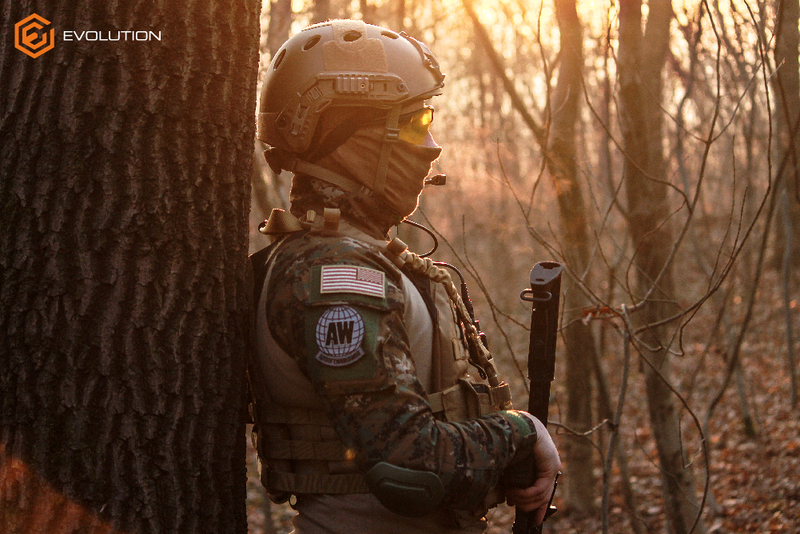 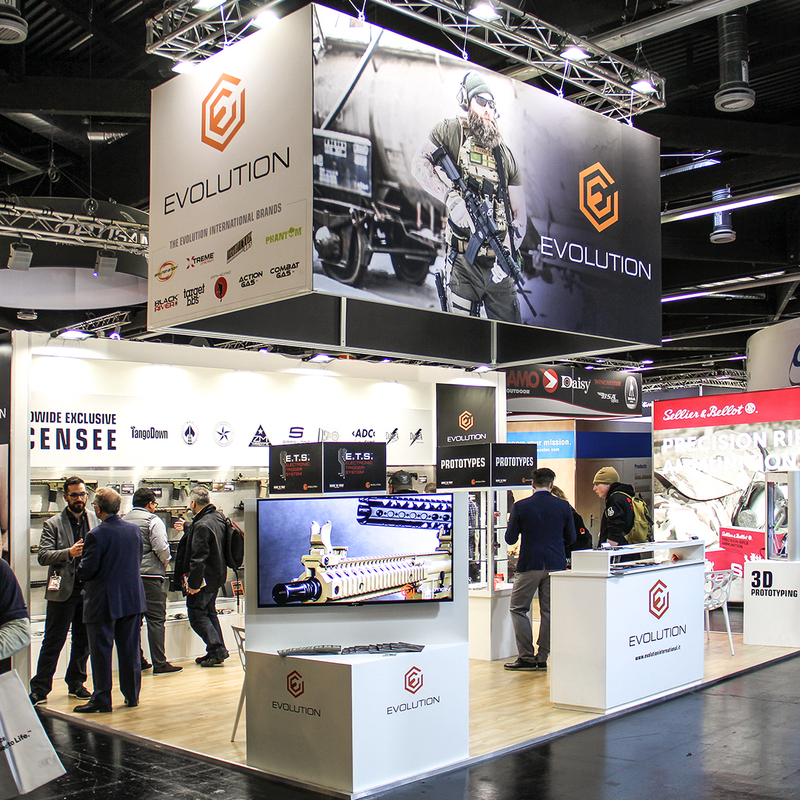 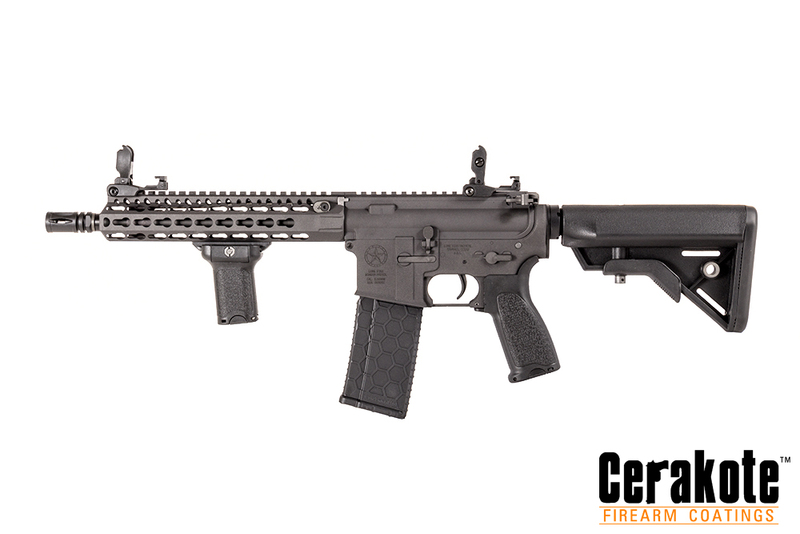 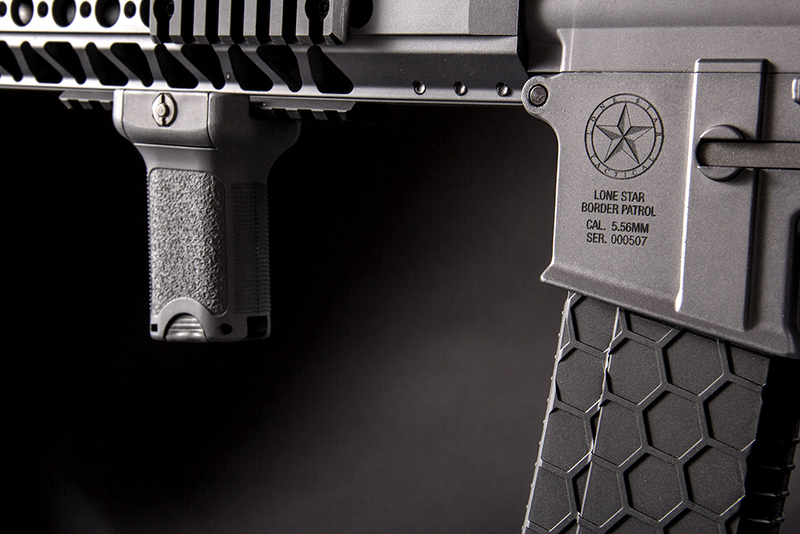 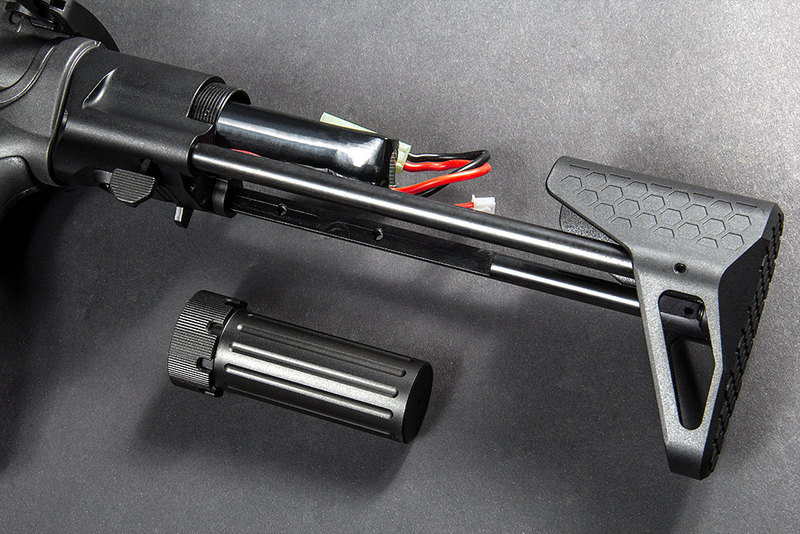 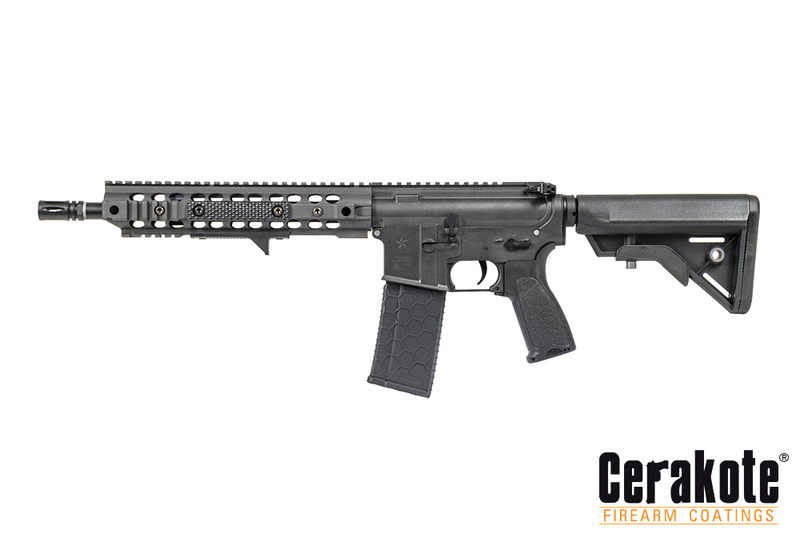 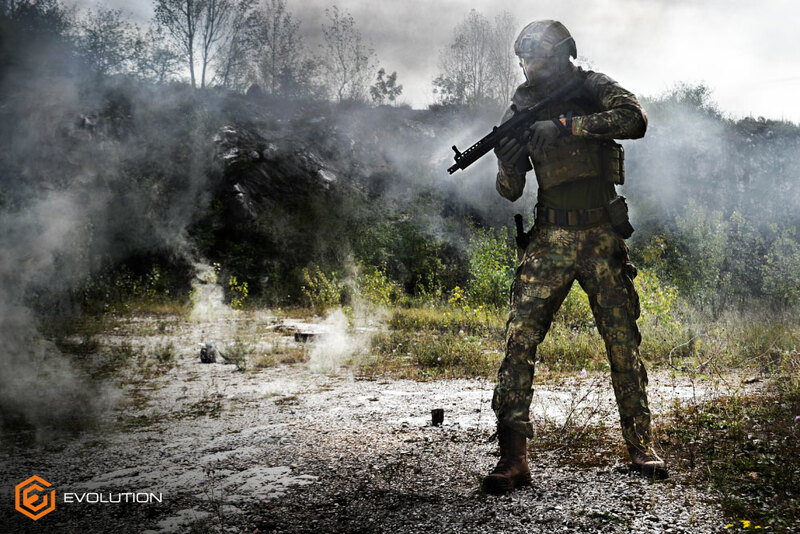 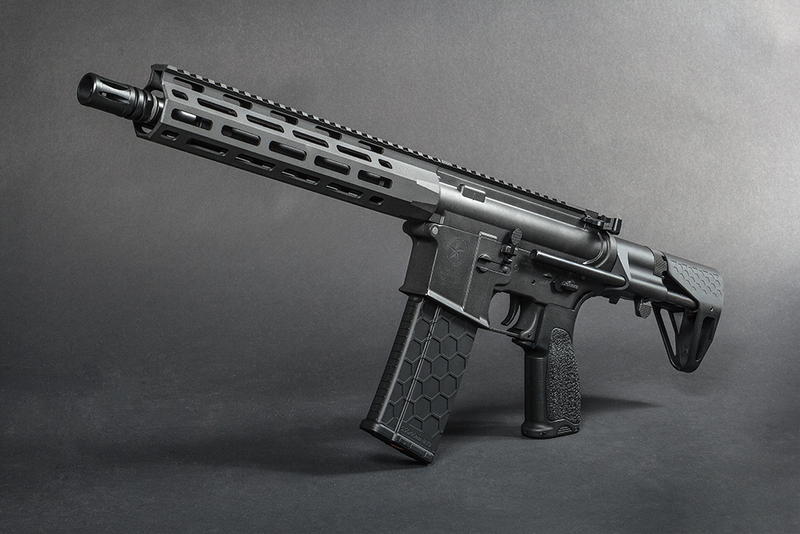 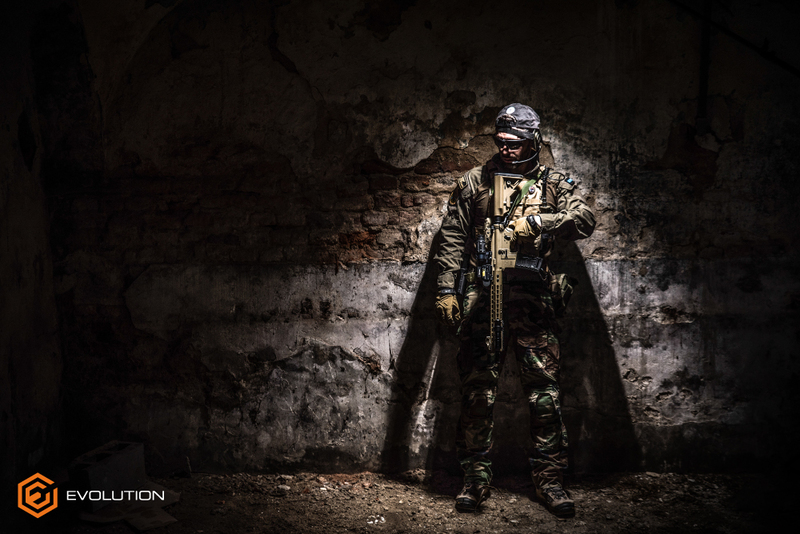 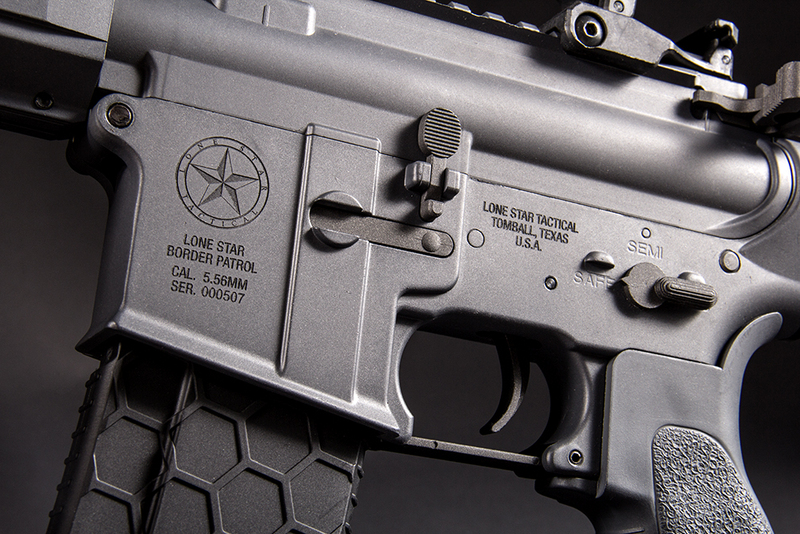 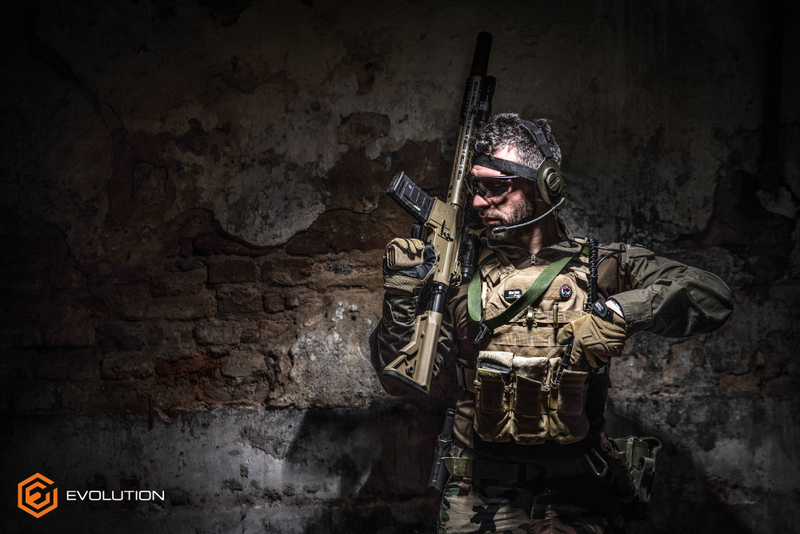 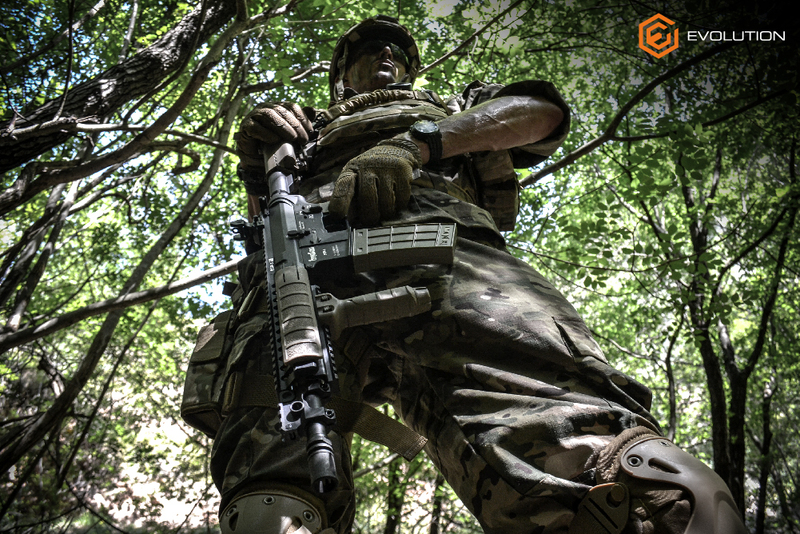 Evolution Combat Lone Star Edition – Evolution International S.r.l. 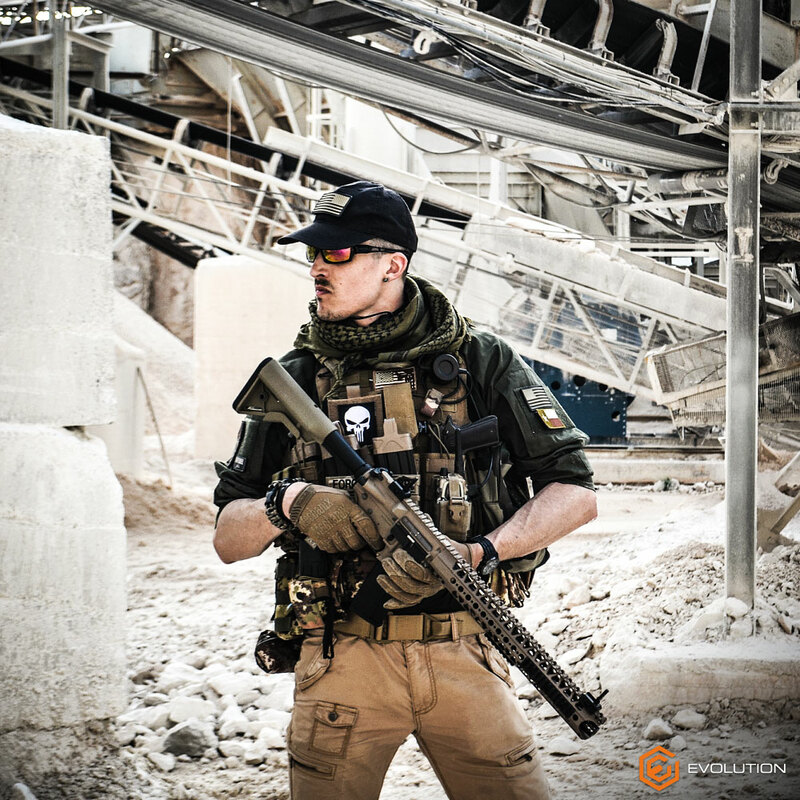 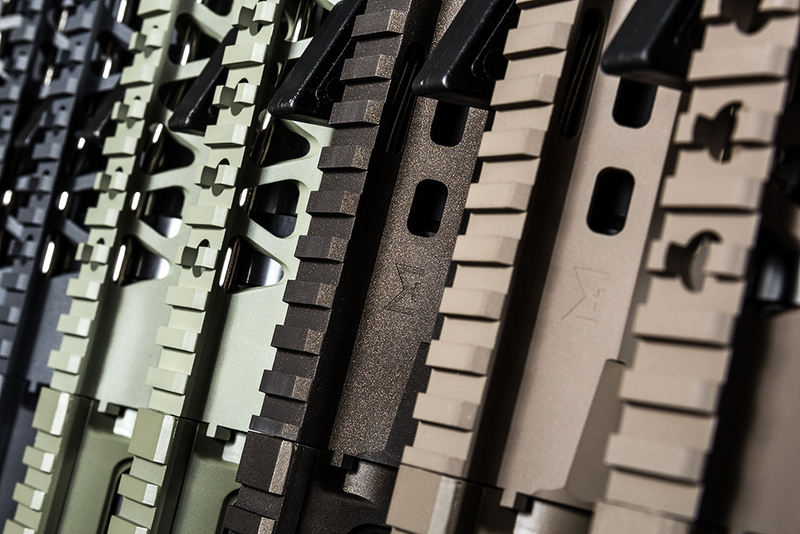 In the color models the Cerakote is applied also on pistol grip, vertical foregrip and retracatable stock for a perfect color matching. 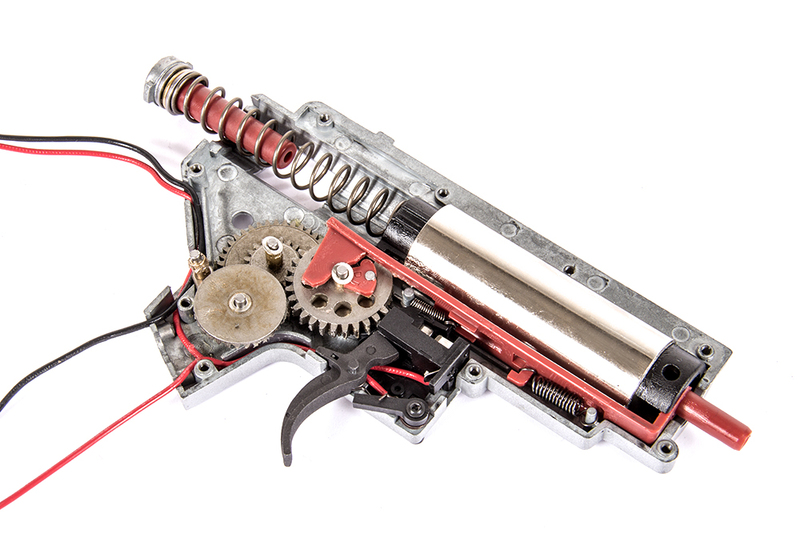 These guns are a great value for money and come with a load of extra accessories included as standard. 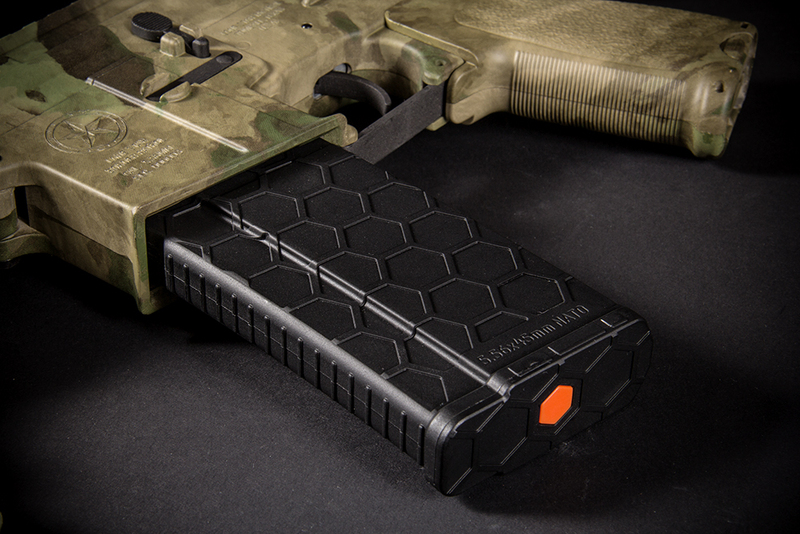 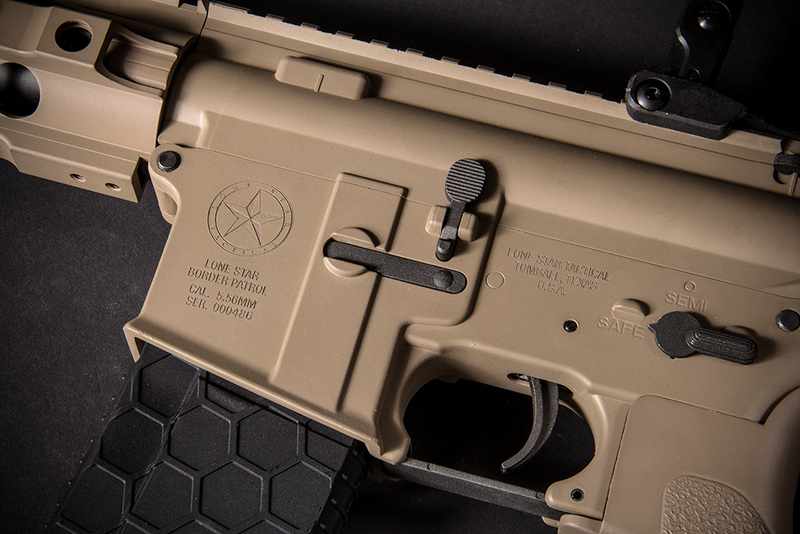 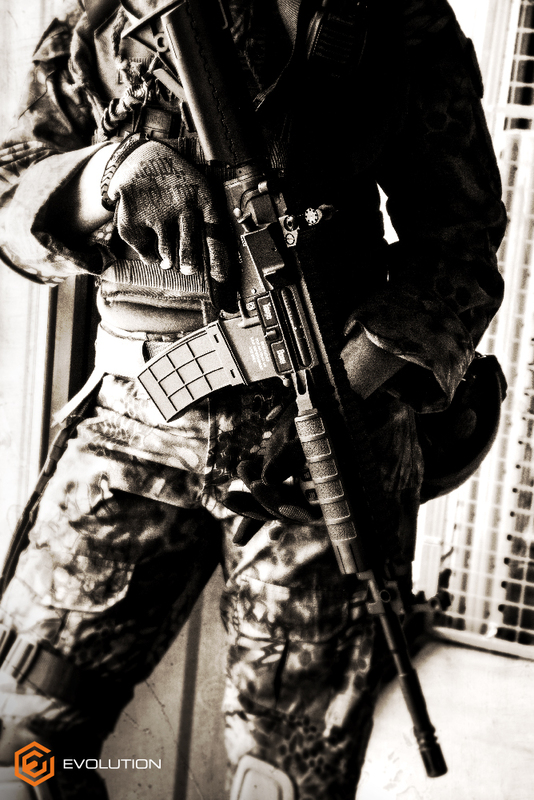 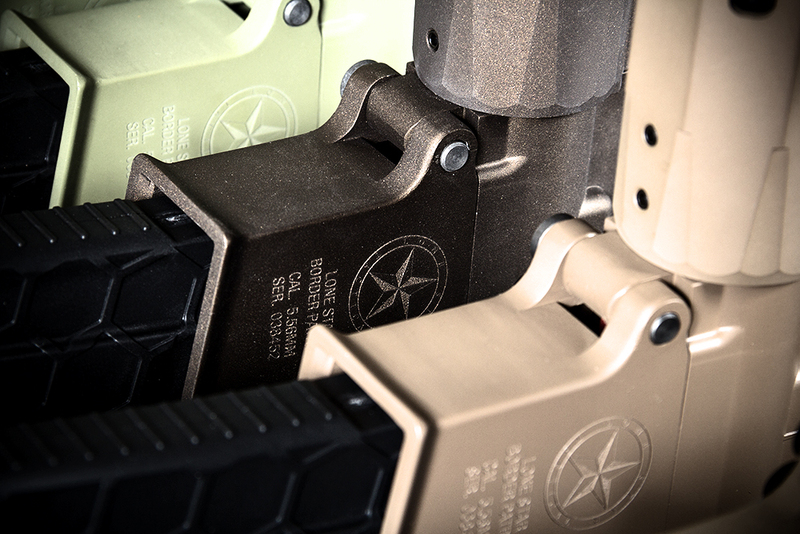 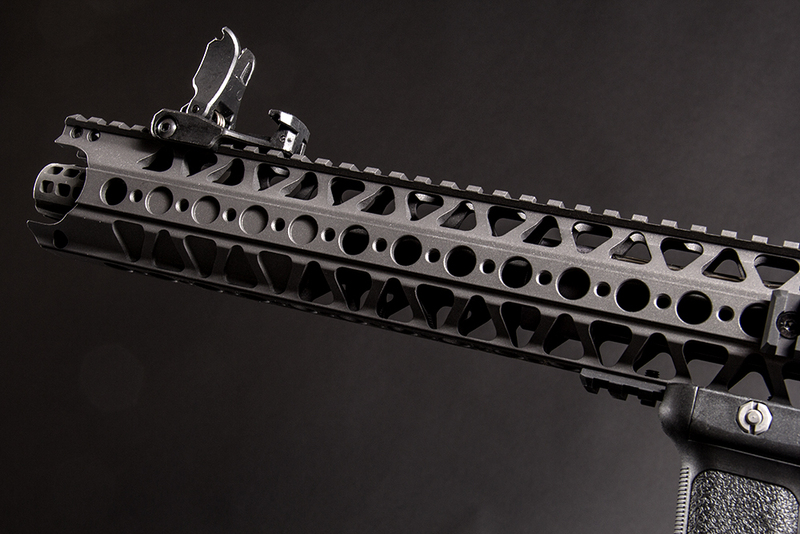 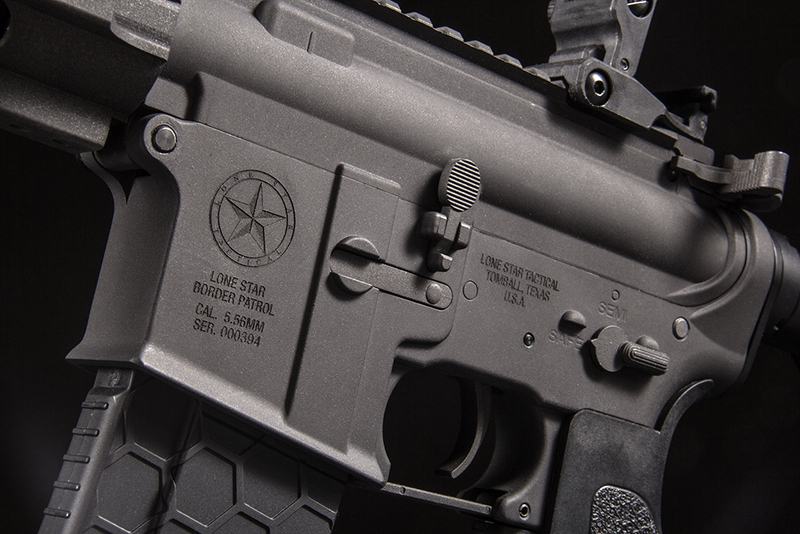 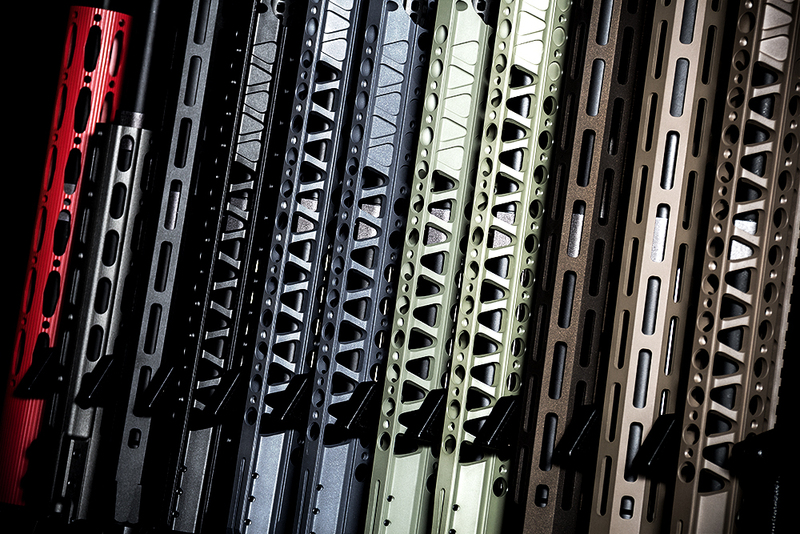 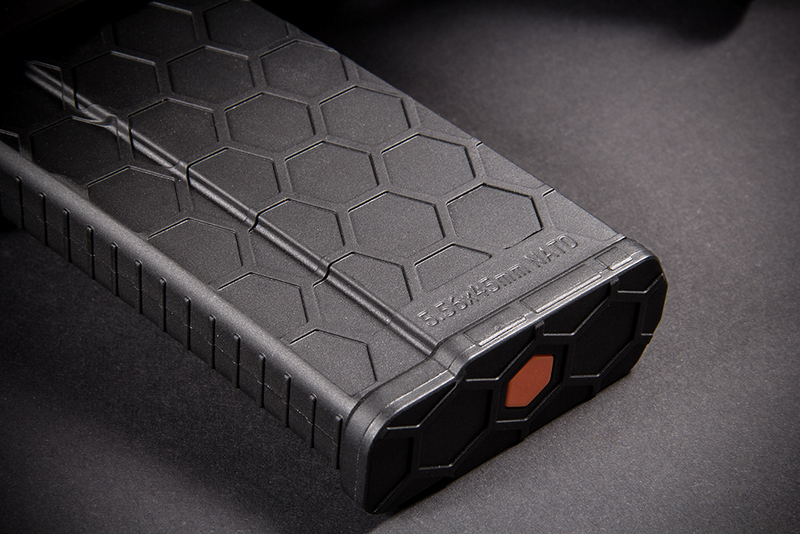 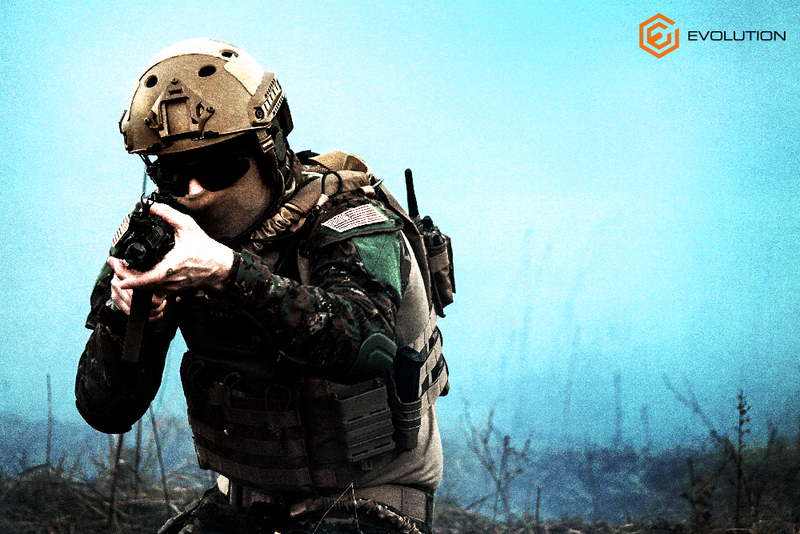 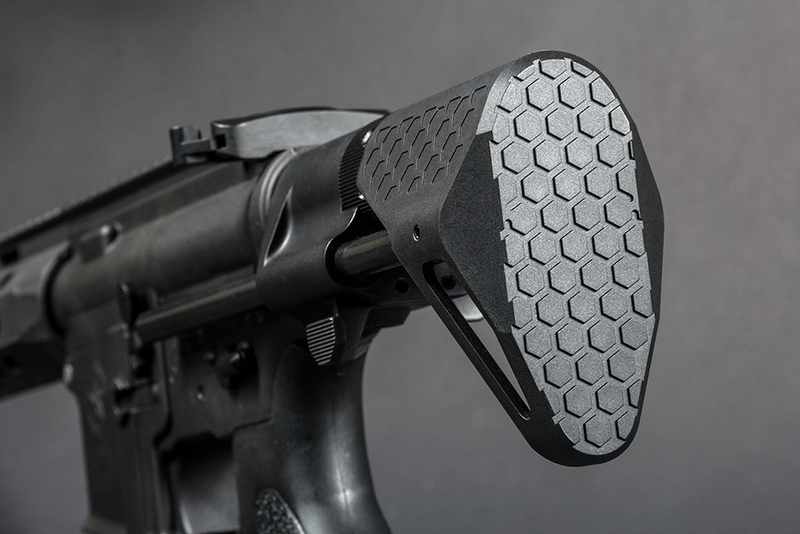 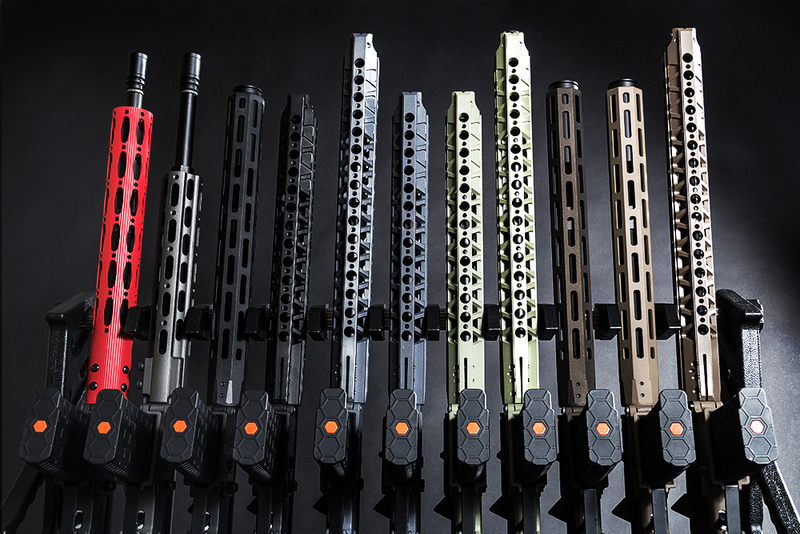 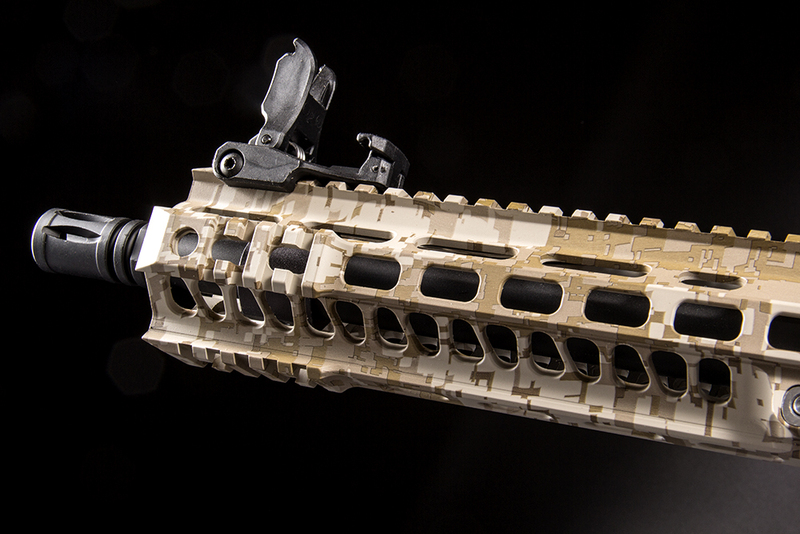 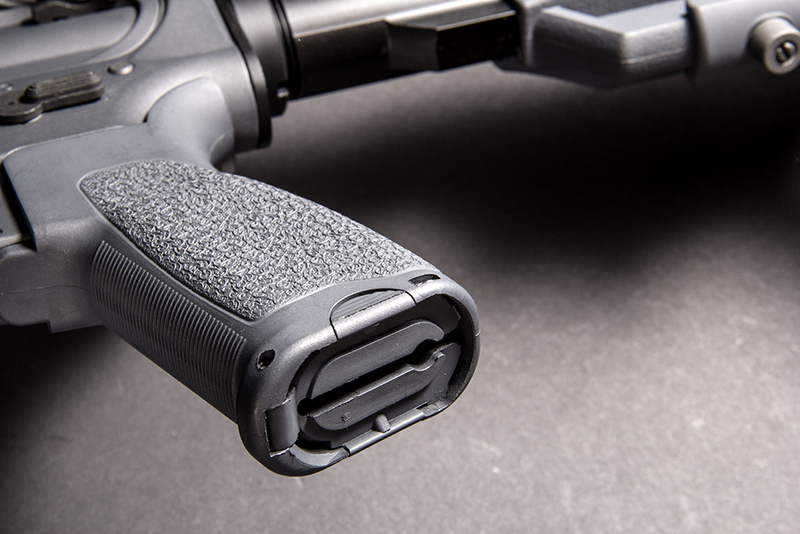 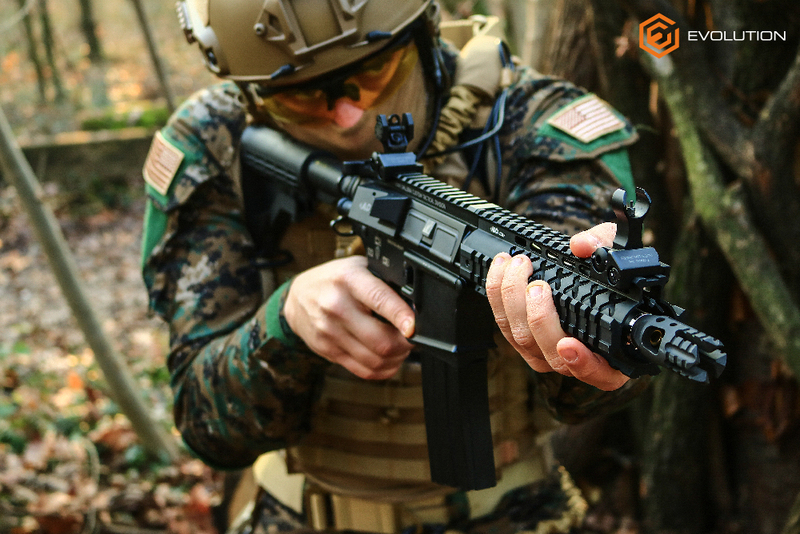 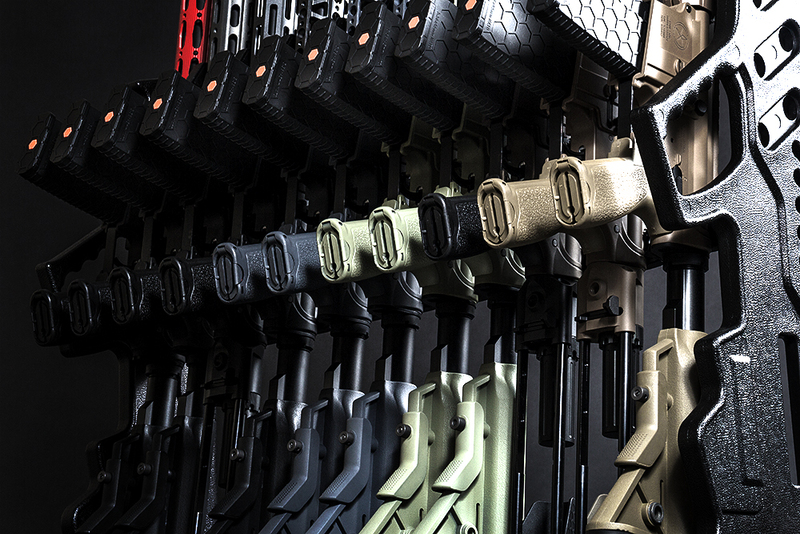 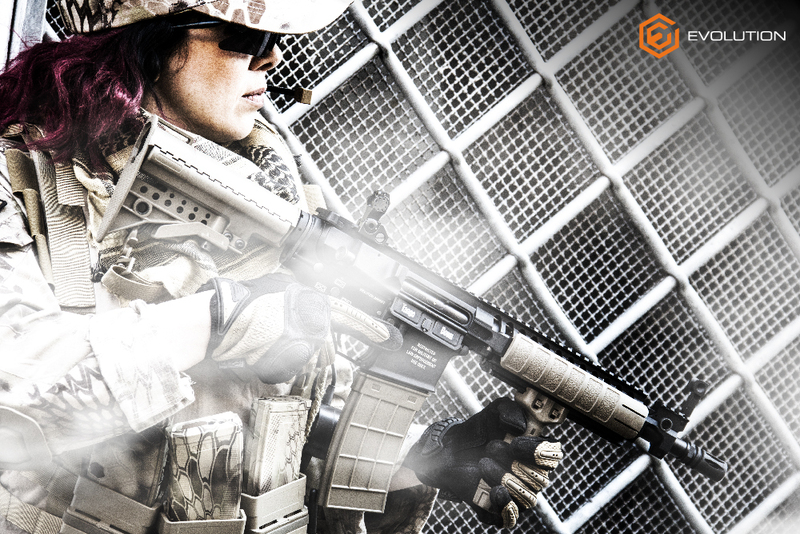 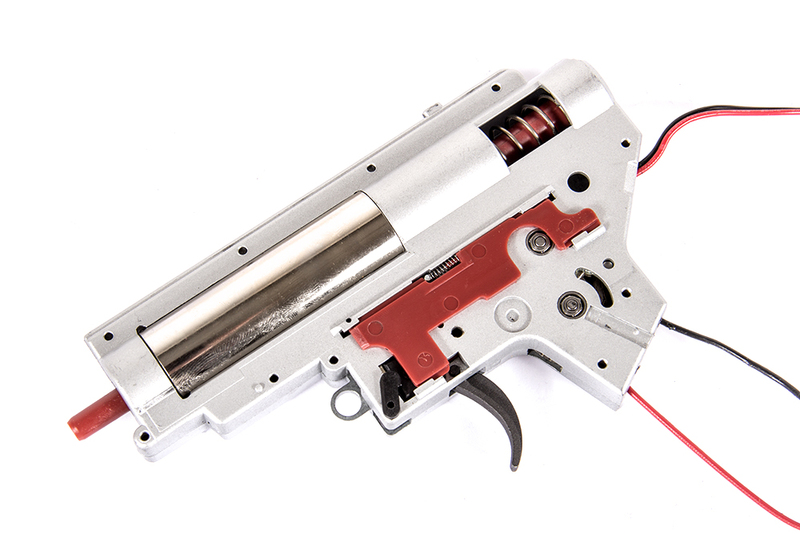 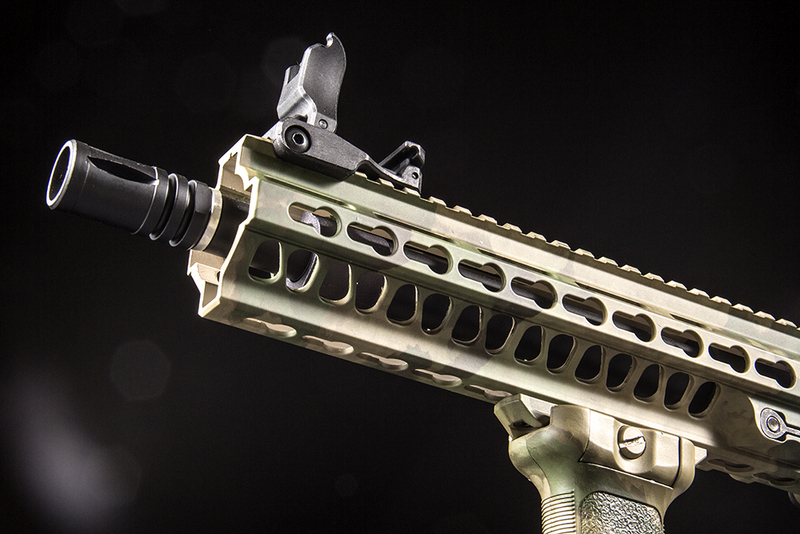 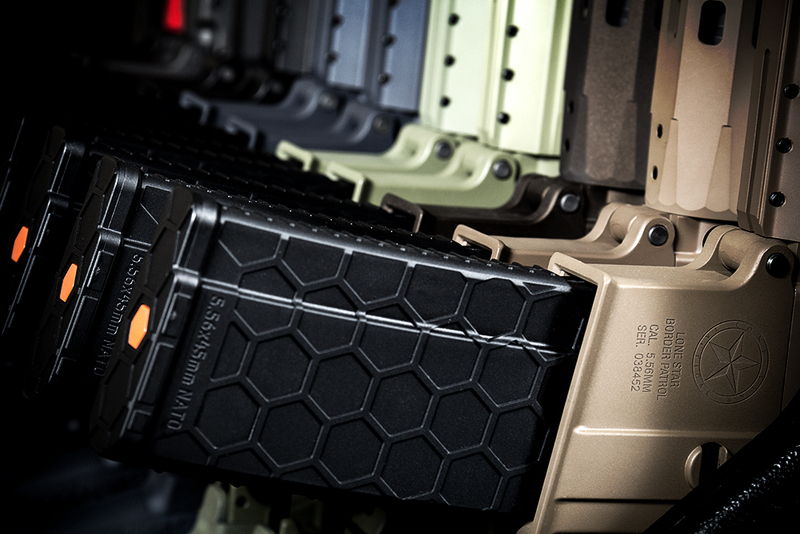 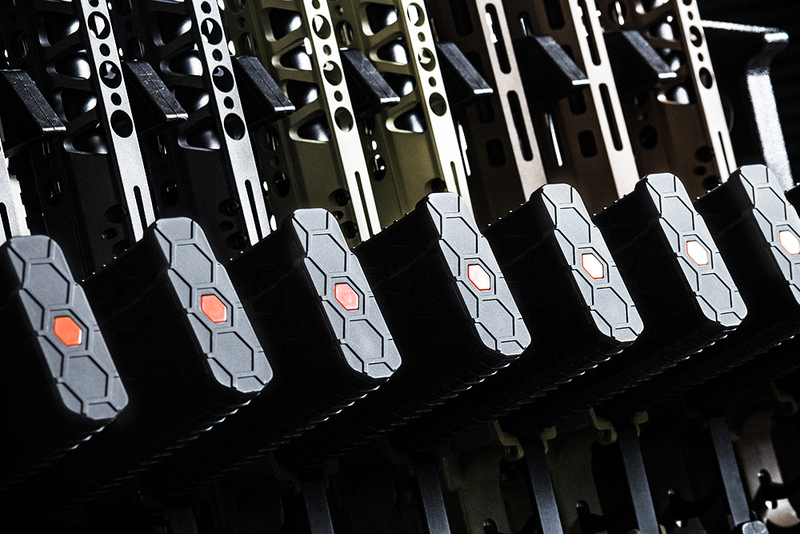 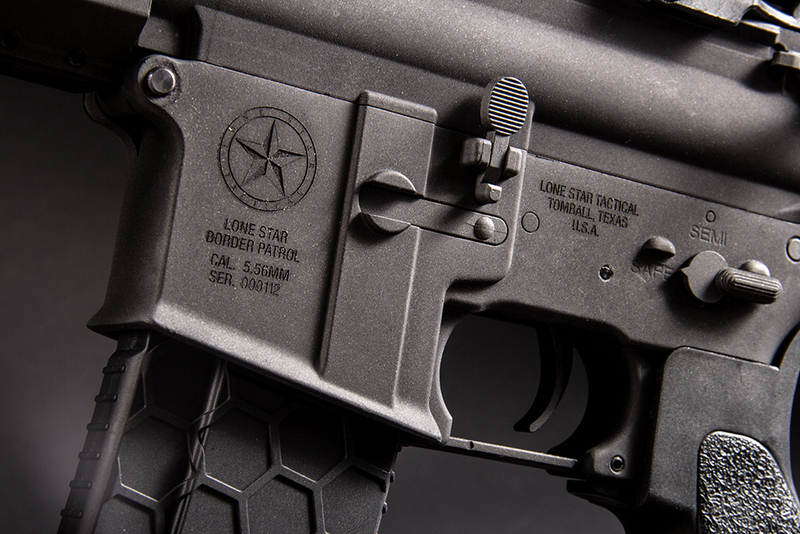 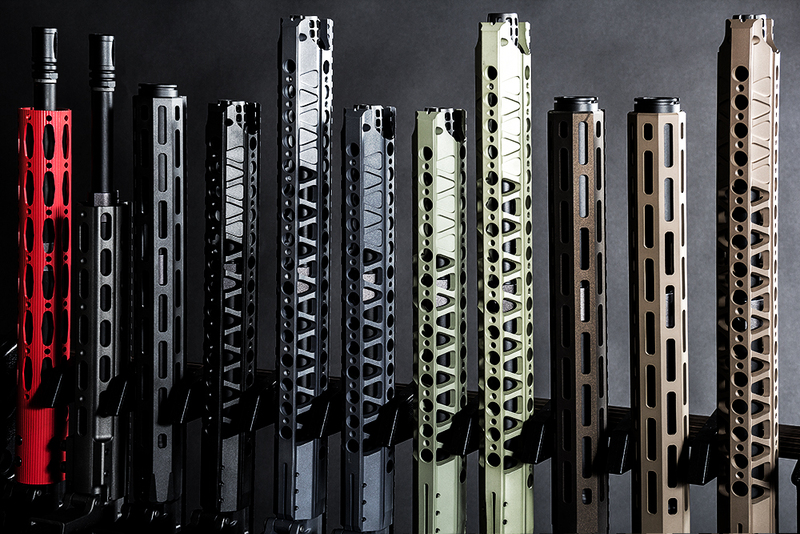 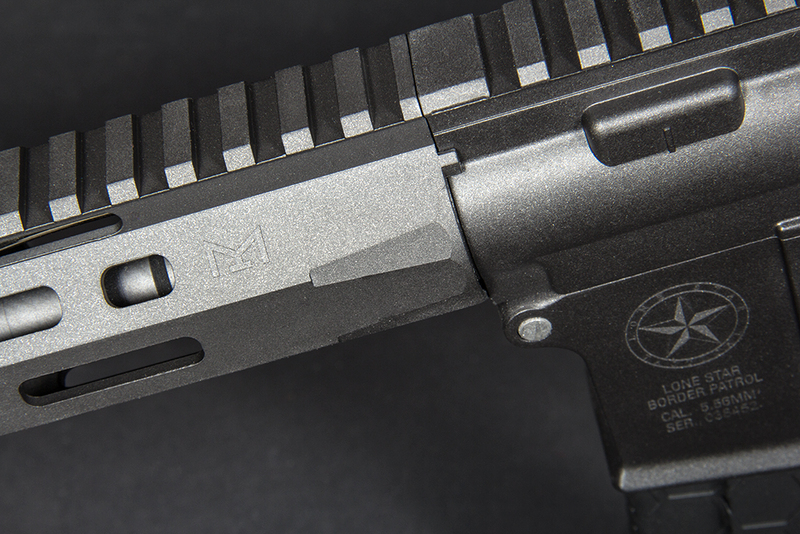 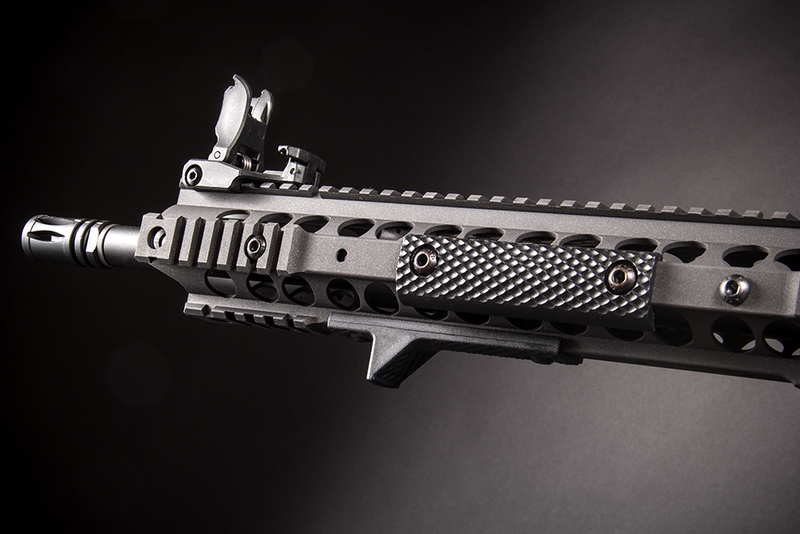 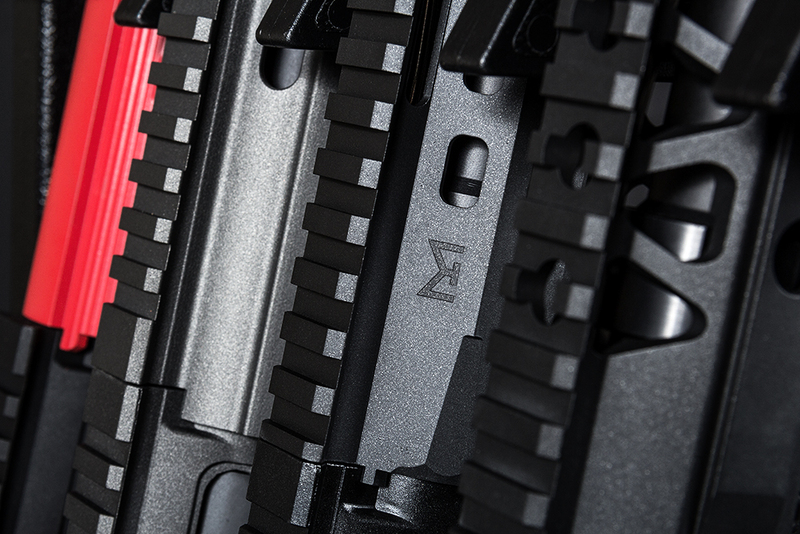 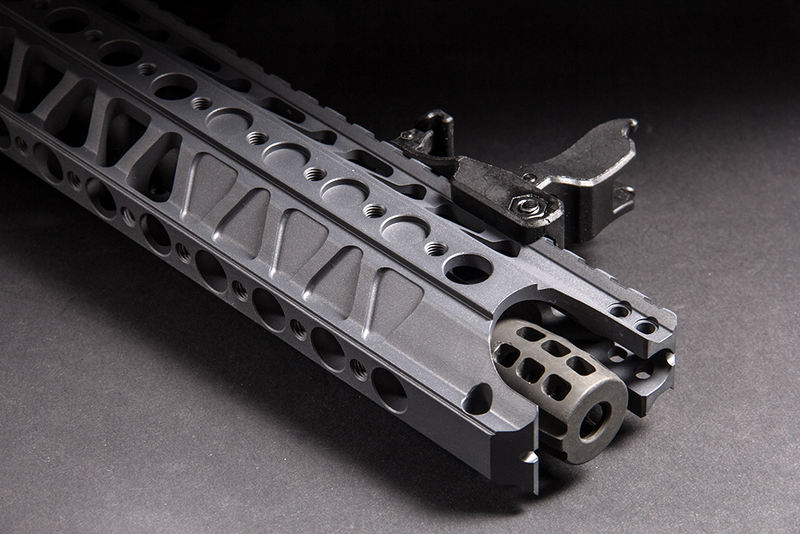 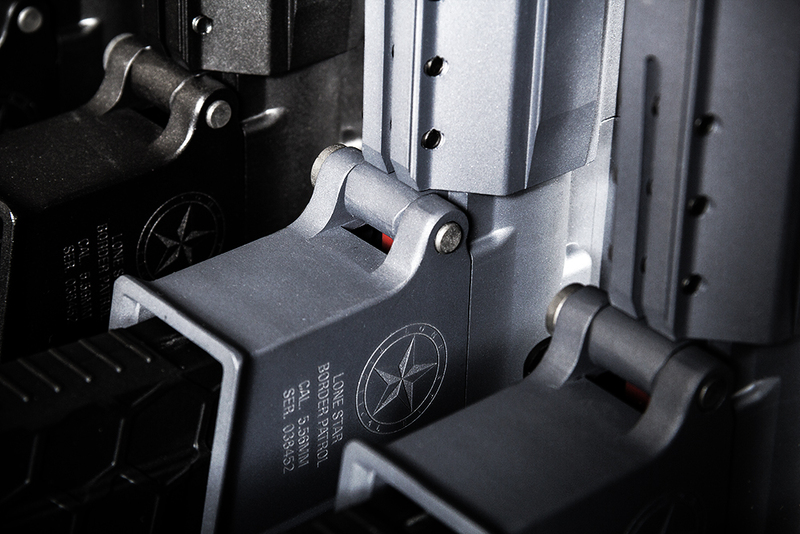 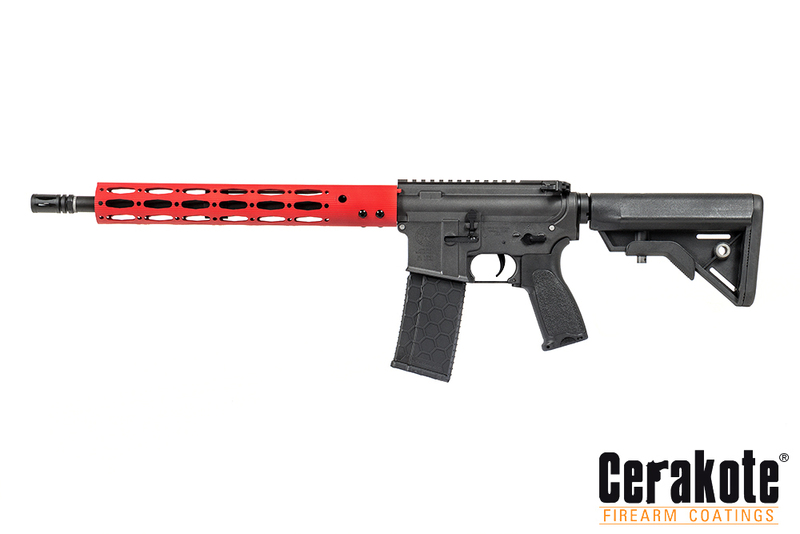 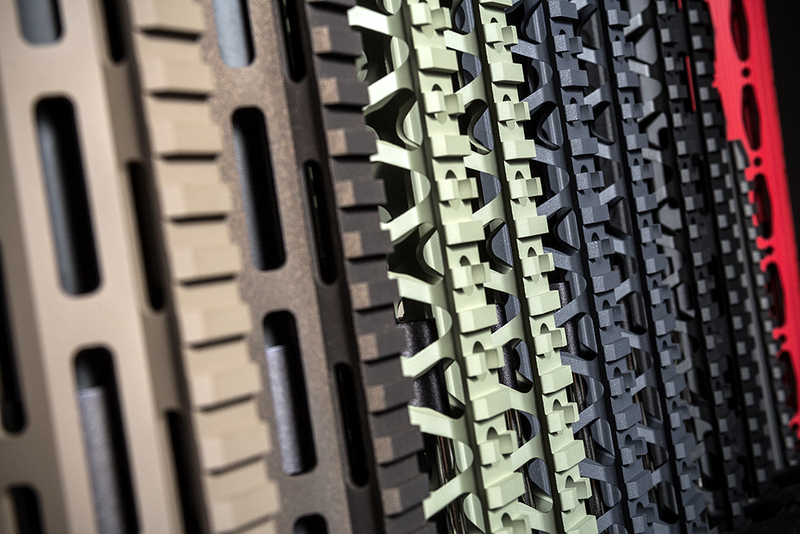 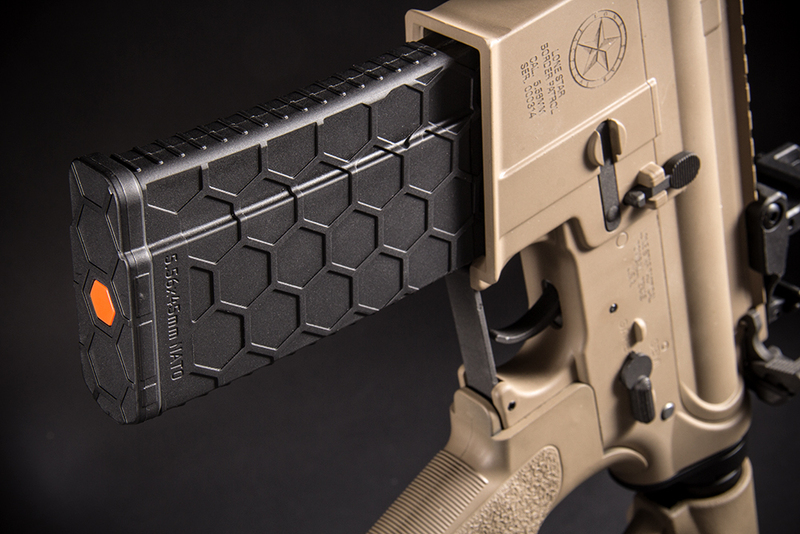 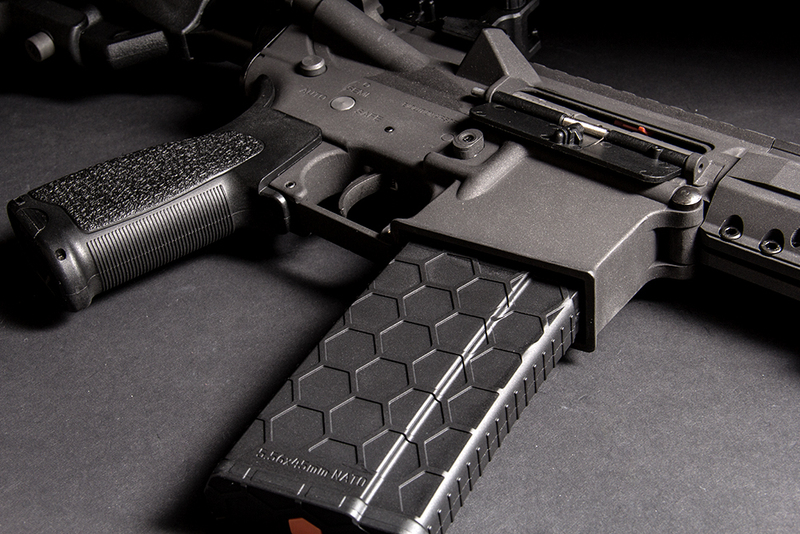 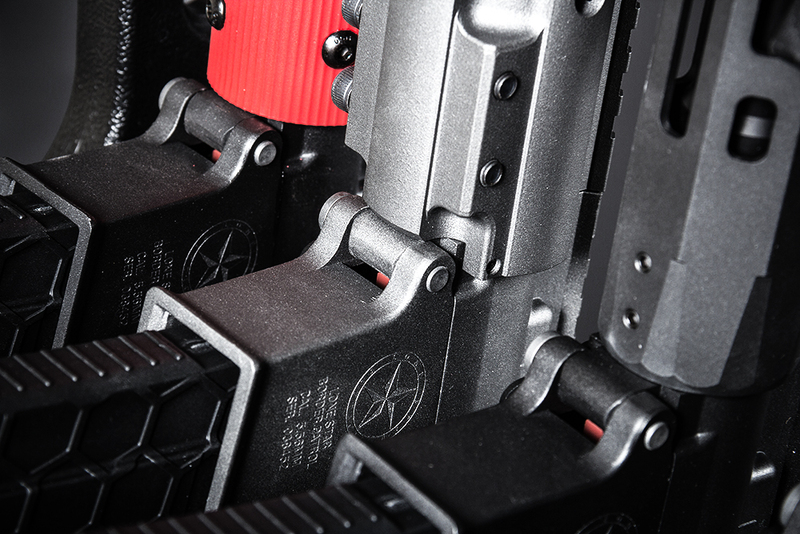 Each gun comes with extra sights, vertical grip, extra rails and Keymod accessories. 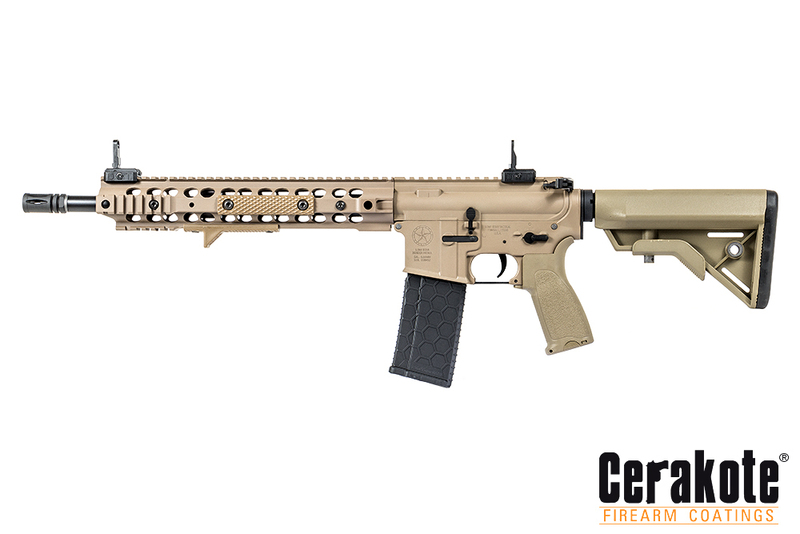 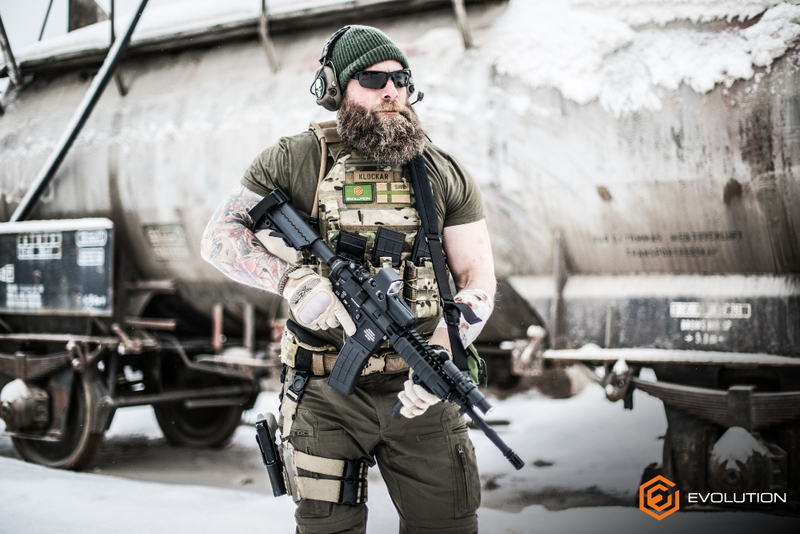 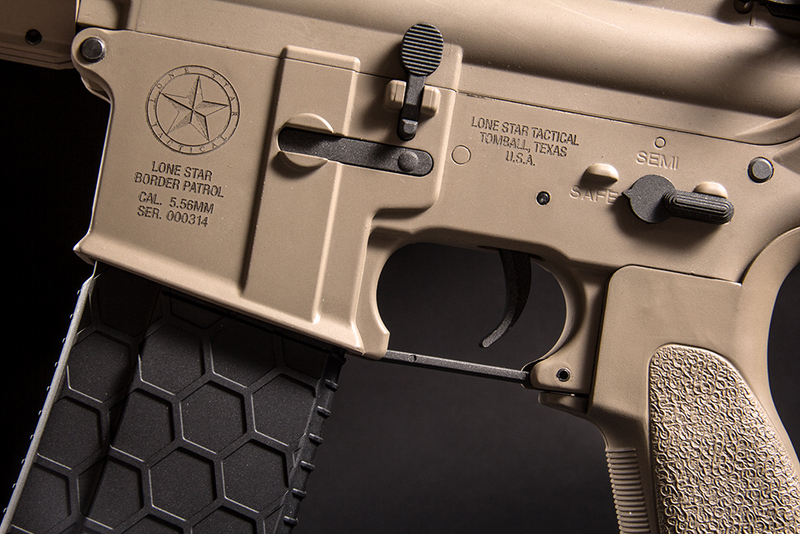 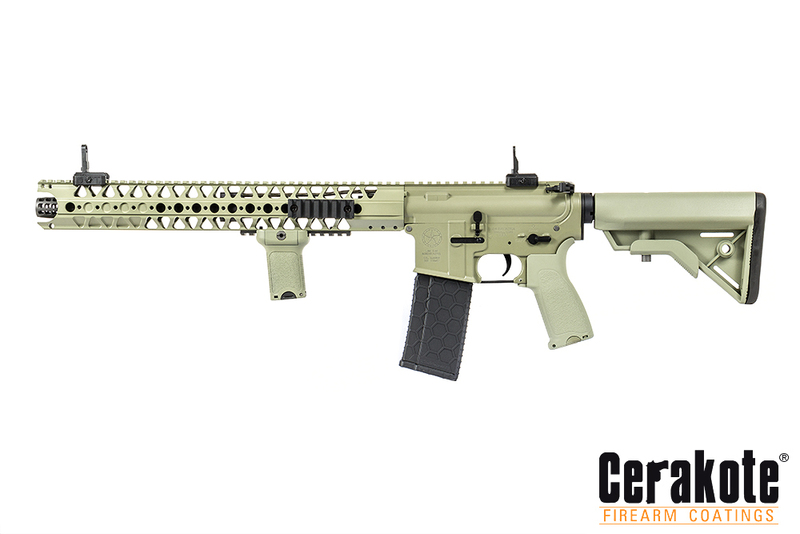 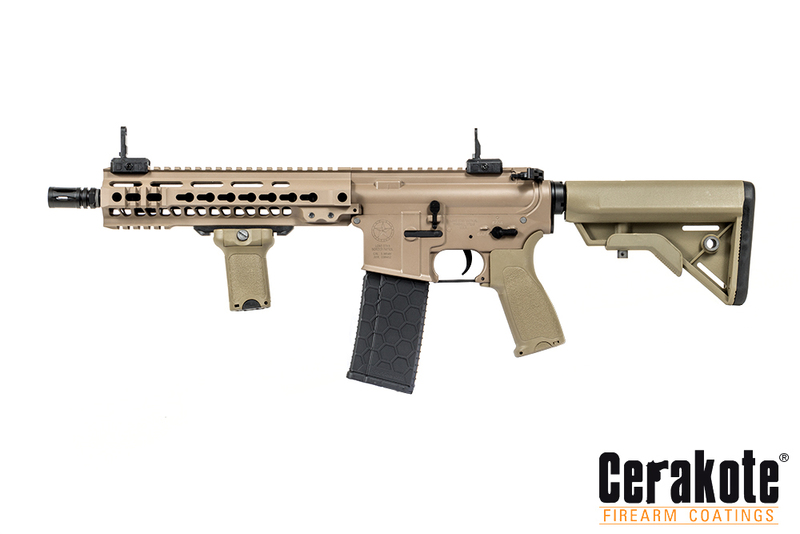 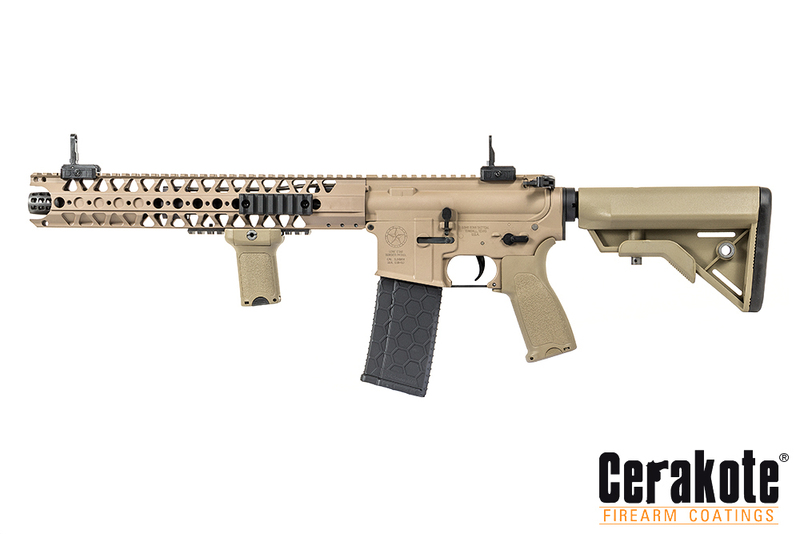 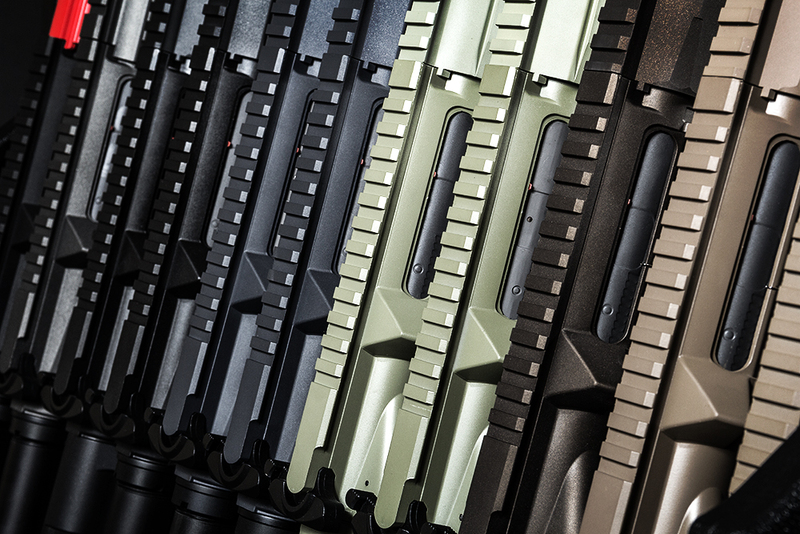 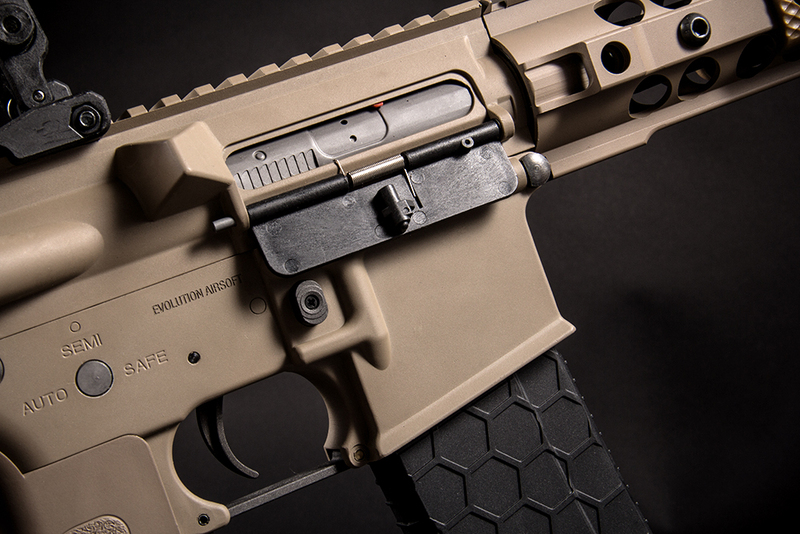 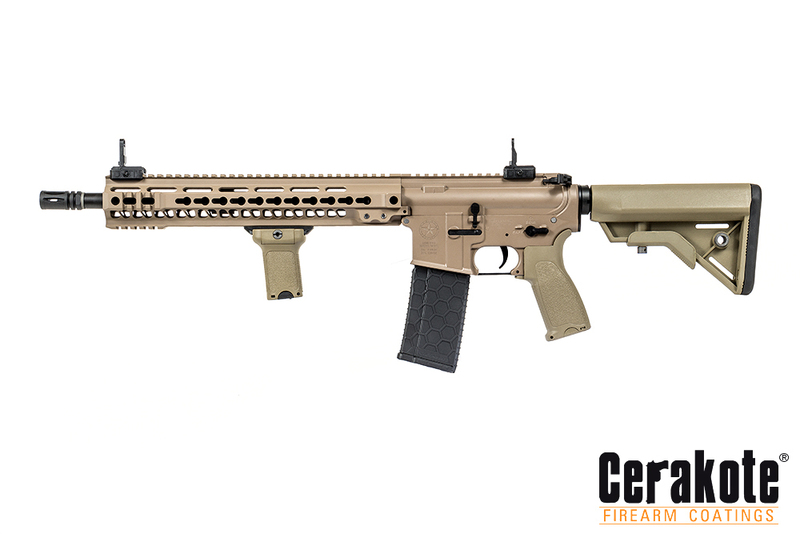 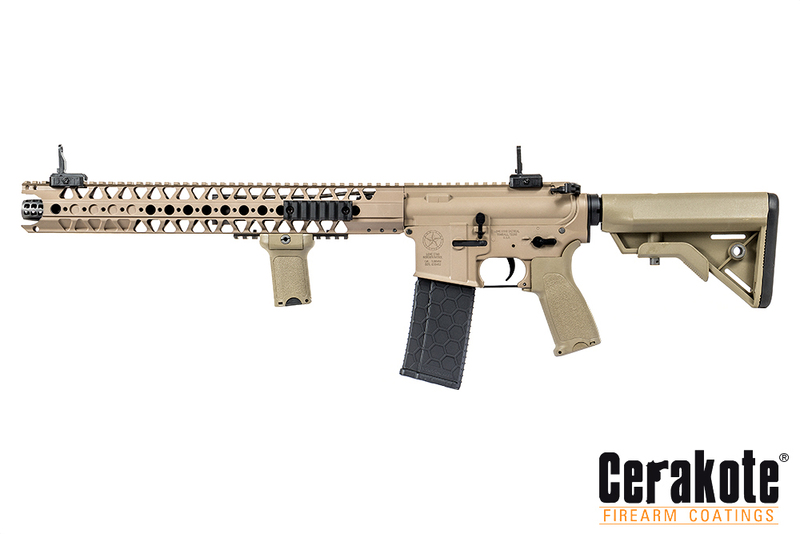 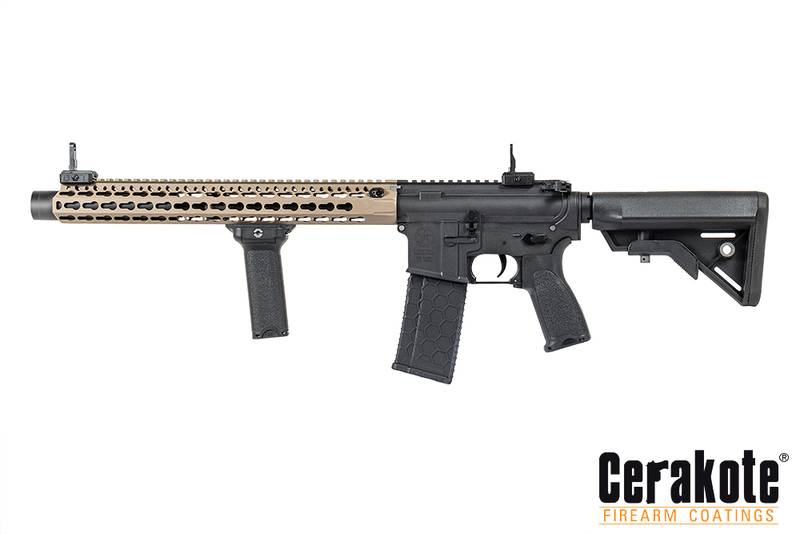 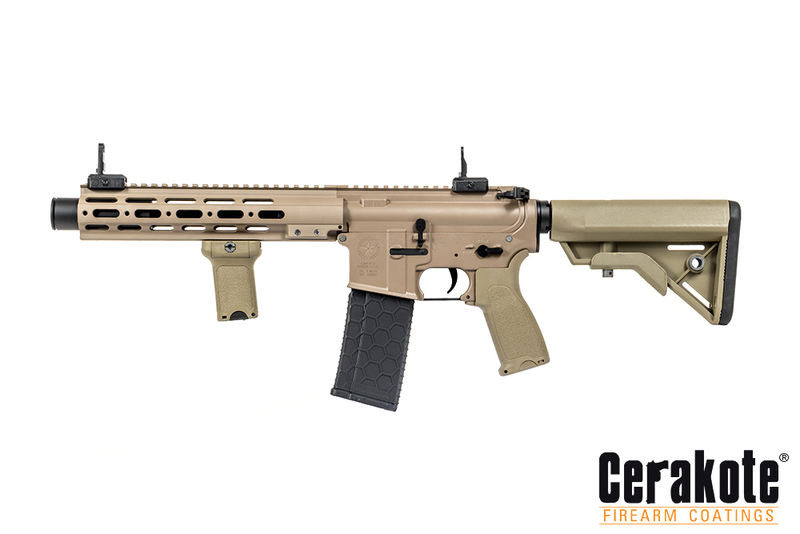 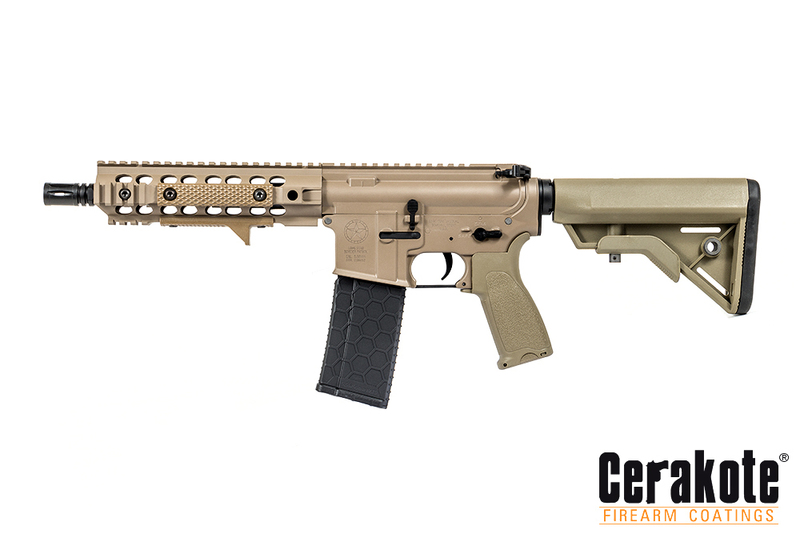 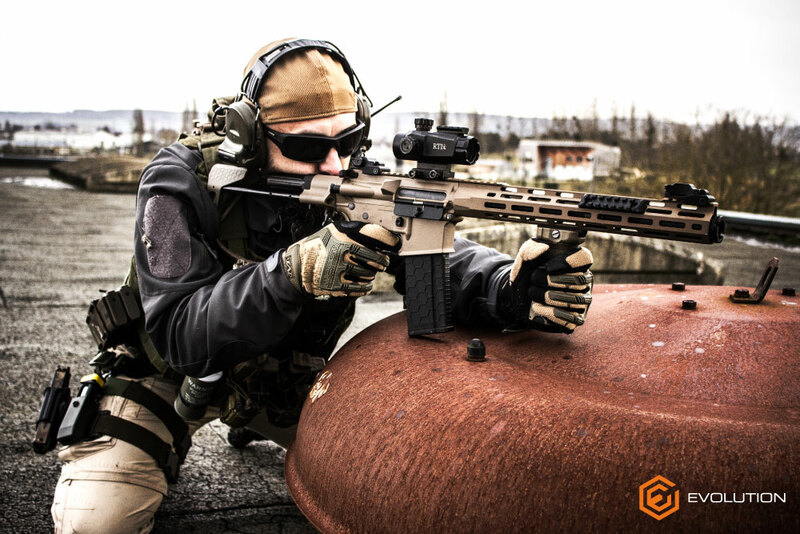 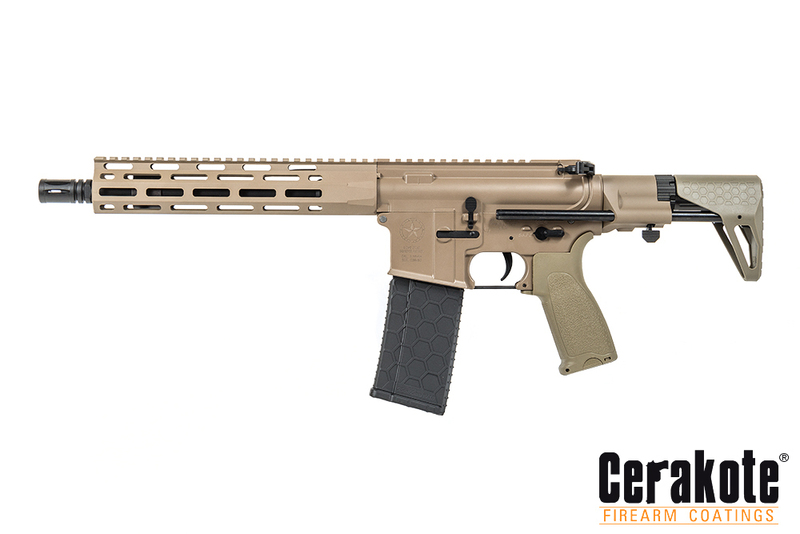 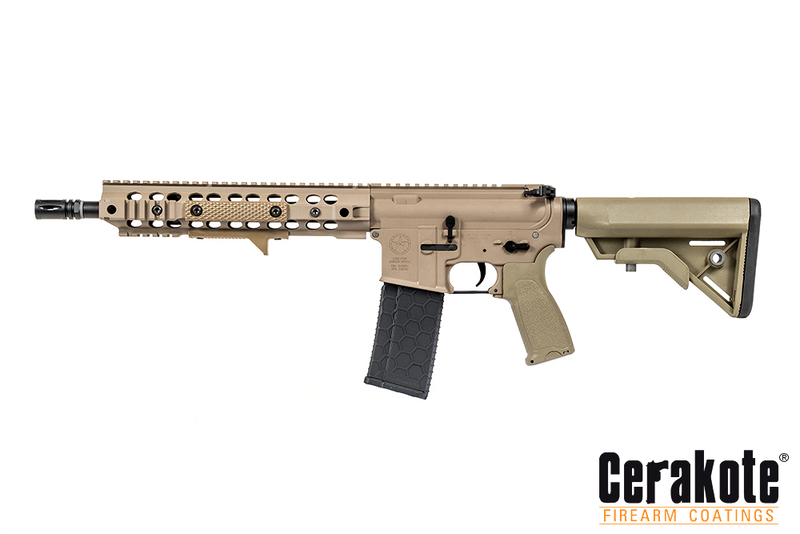 Customers can choose from a big variety of Cerakote colors: Knights Armament Tan, Magpul Tan, Warsport Green, Wolf Grey, and for an increased realism all come with magazine catch lever, charging handle, bolt release lever finished in Cerakote Cobalt Black. 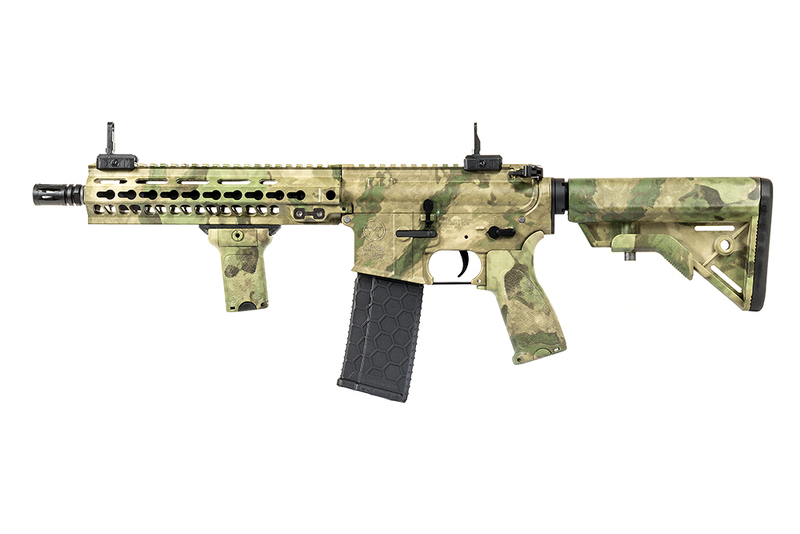 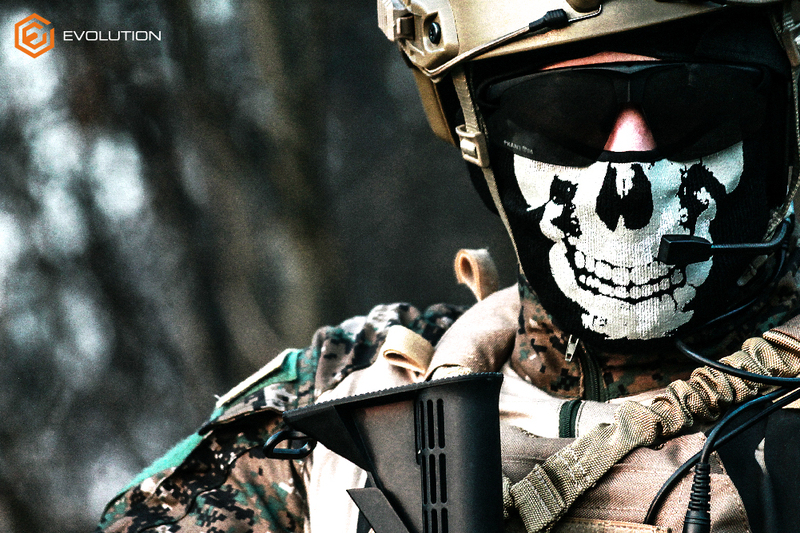 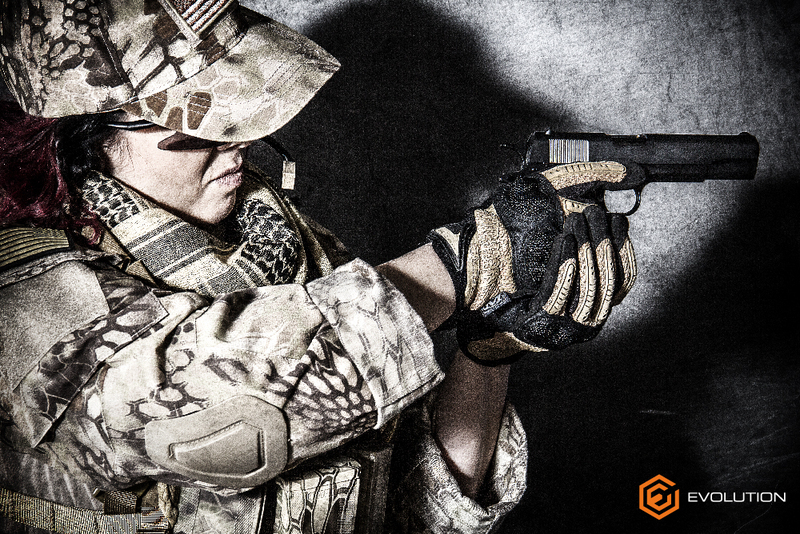 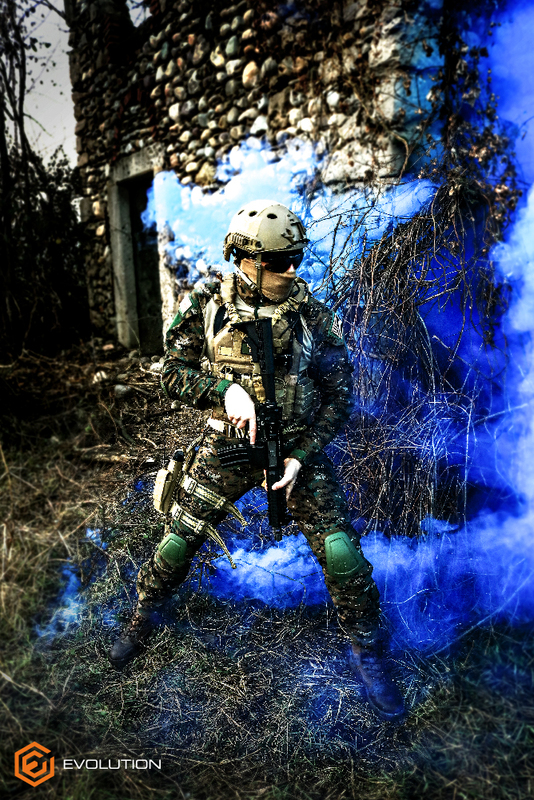 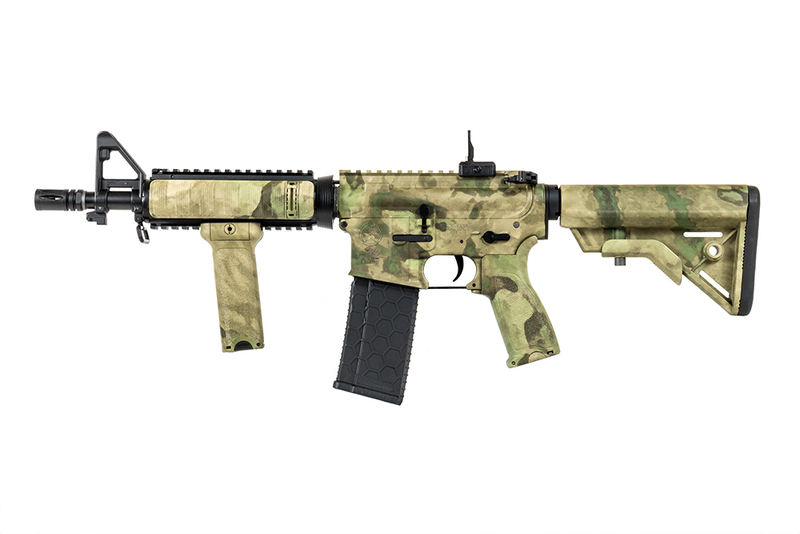 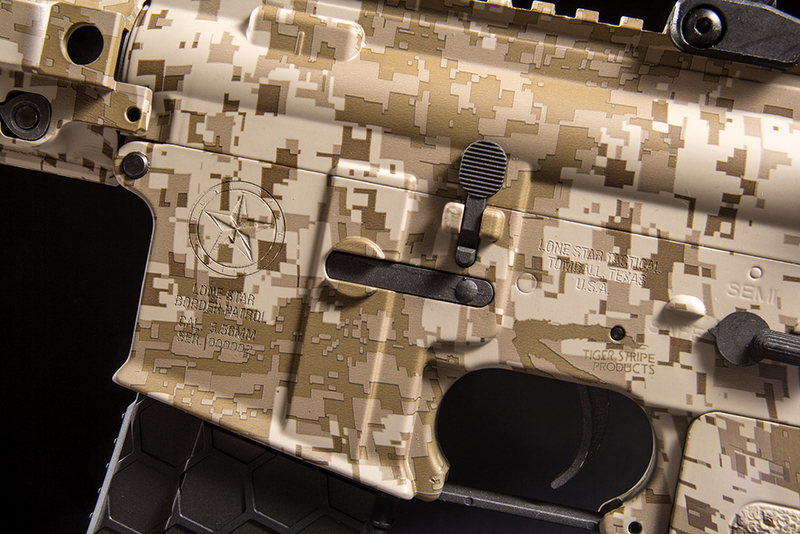 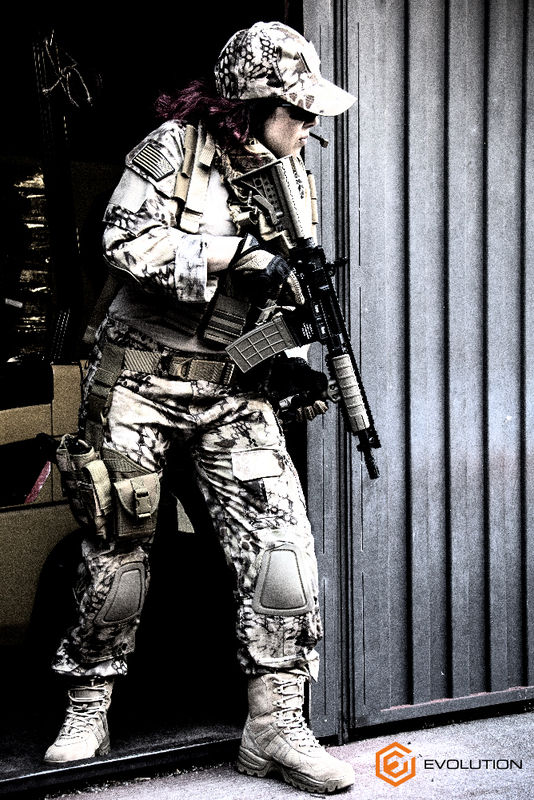 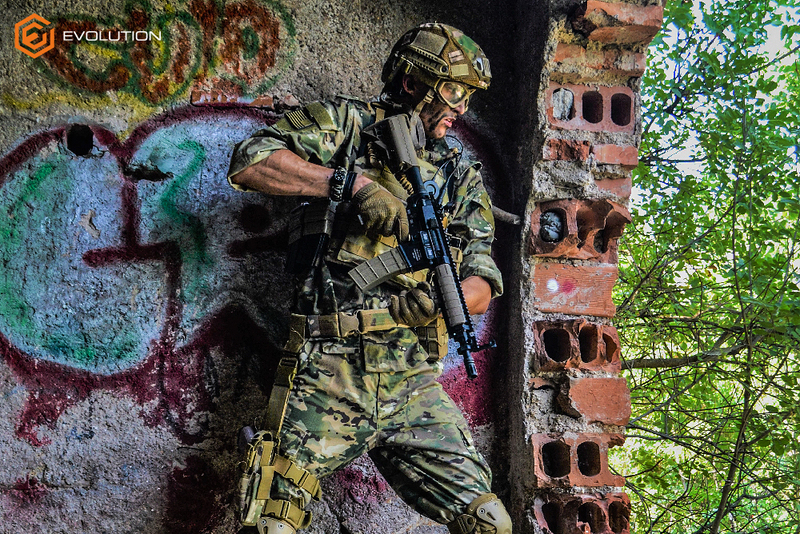 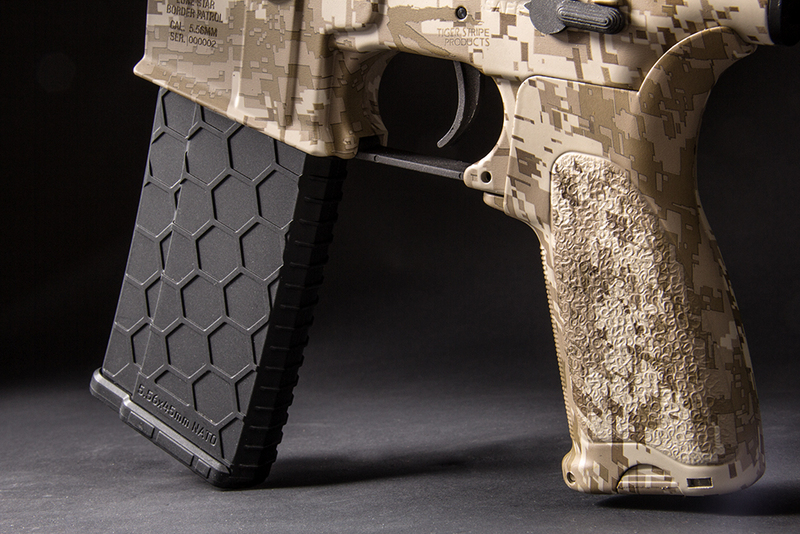 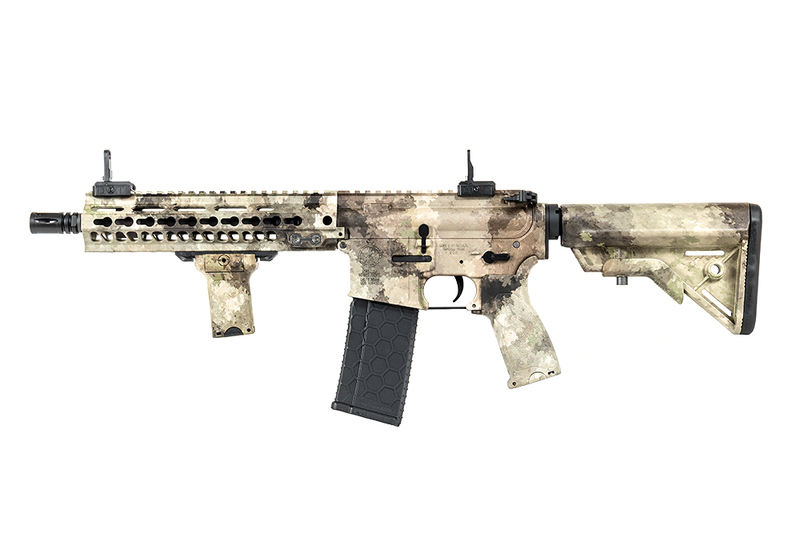 Various models are available in an exclusive water transfer camo pattern.